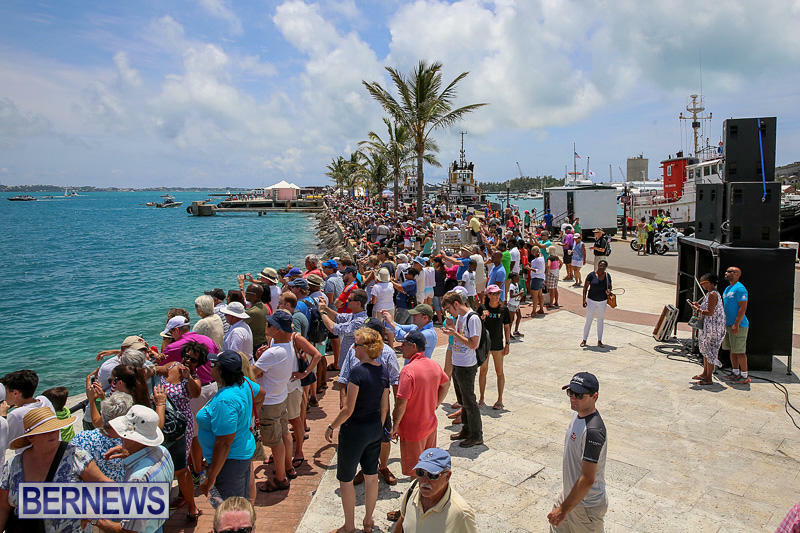 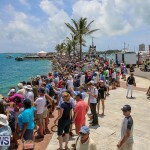 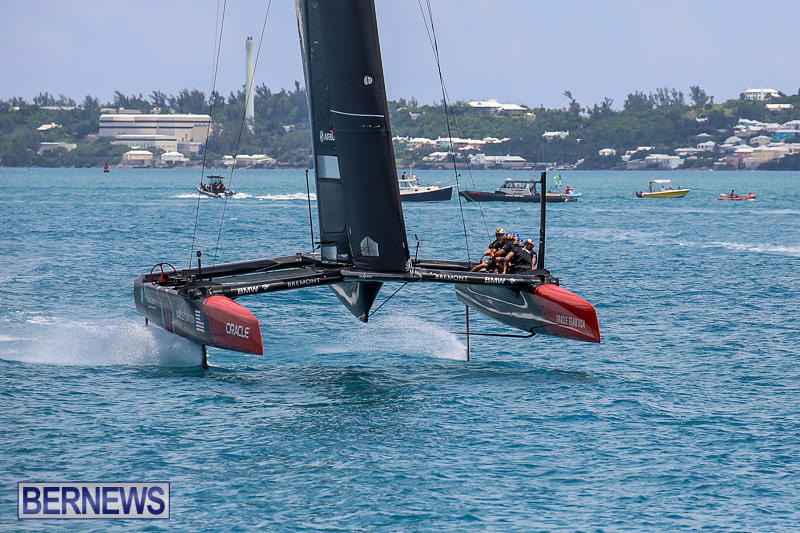 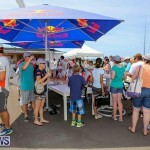 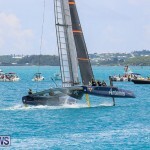 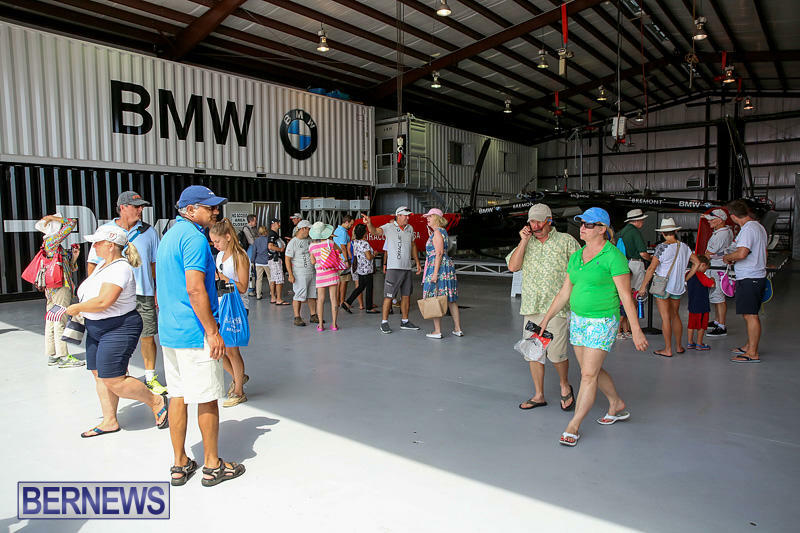 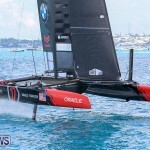 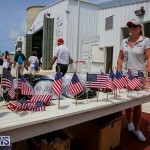 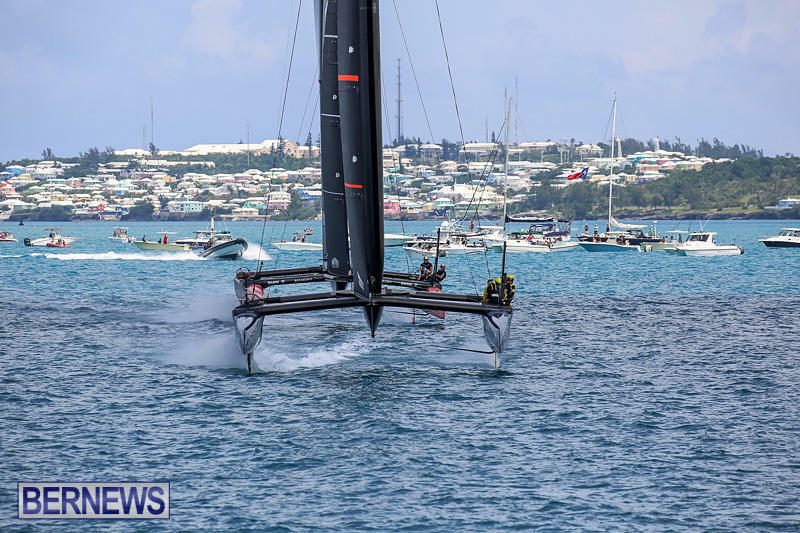 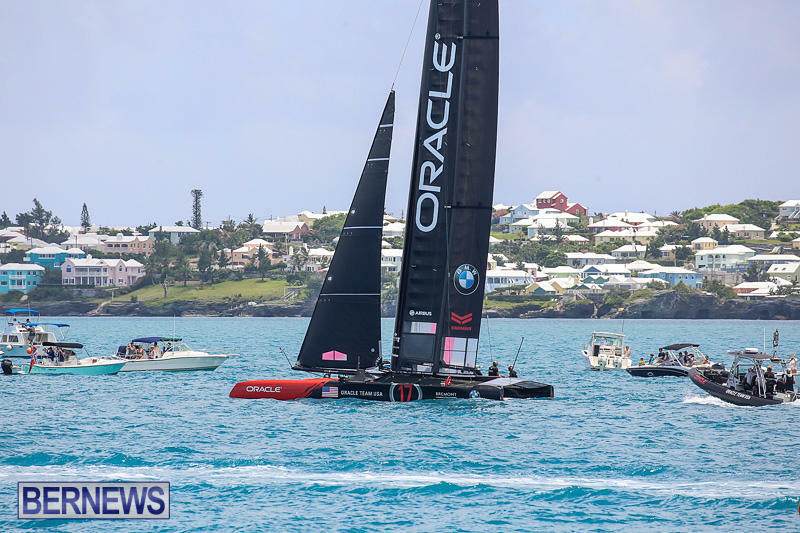 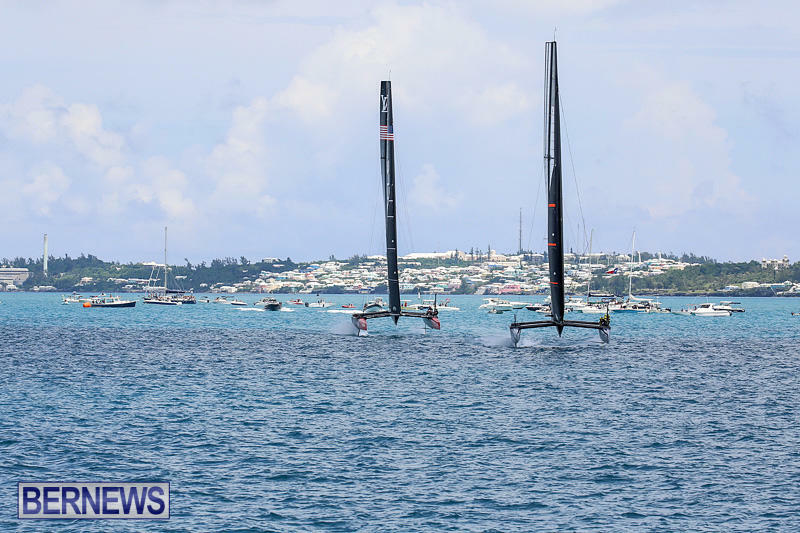 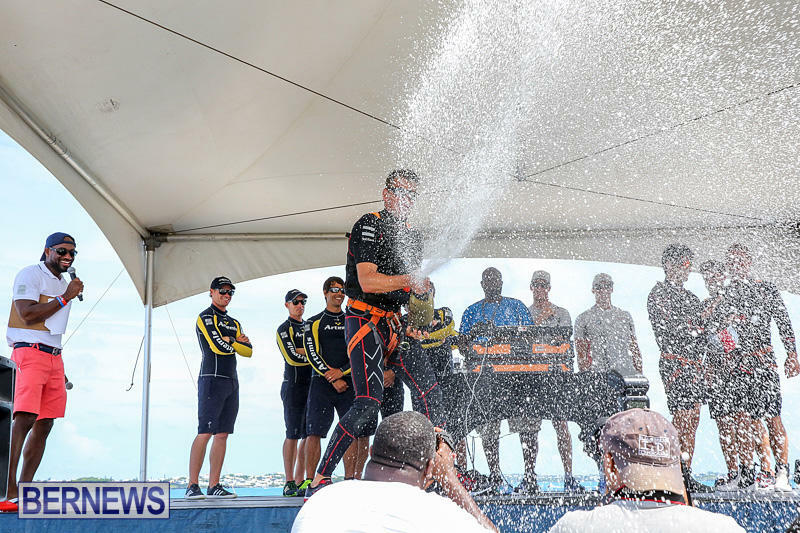 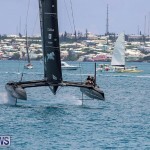 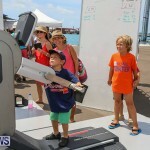 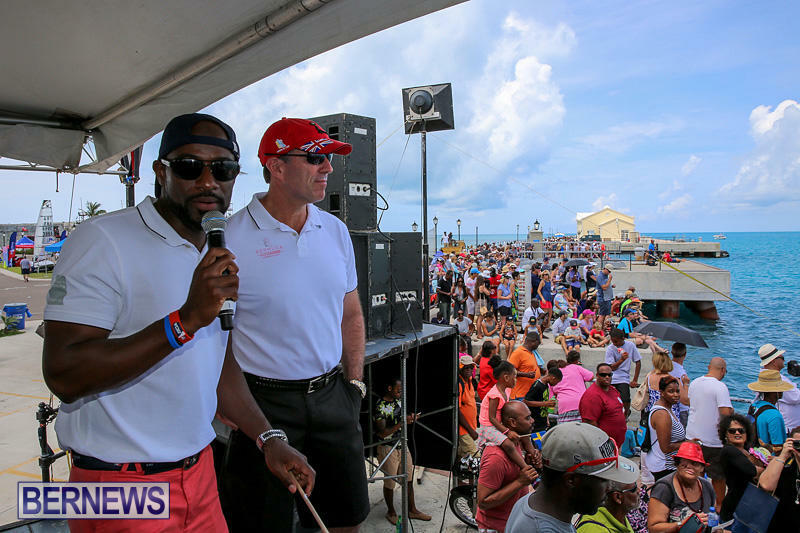 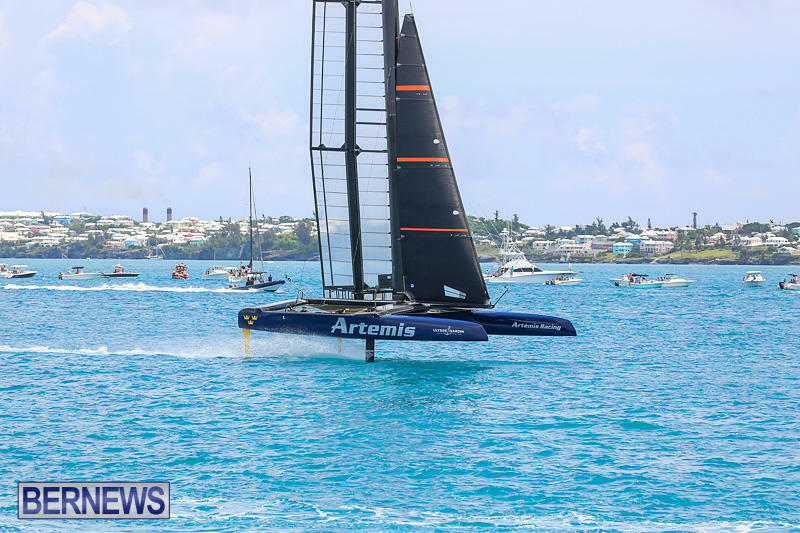 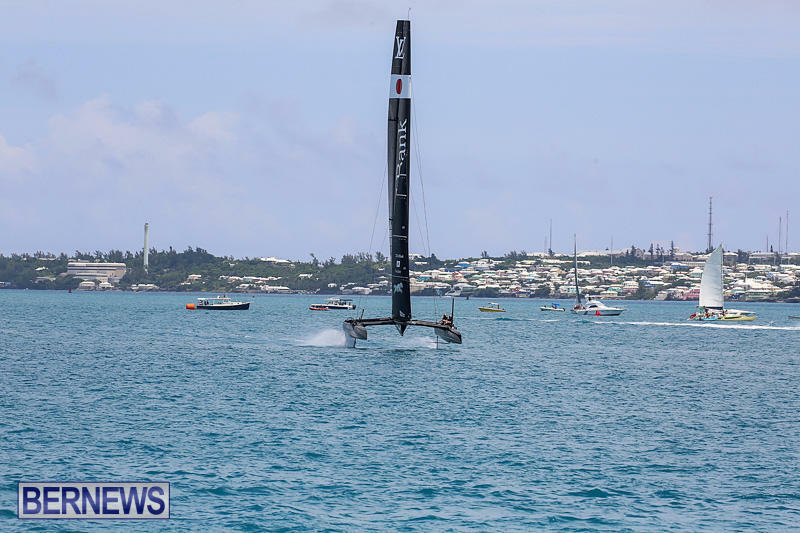 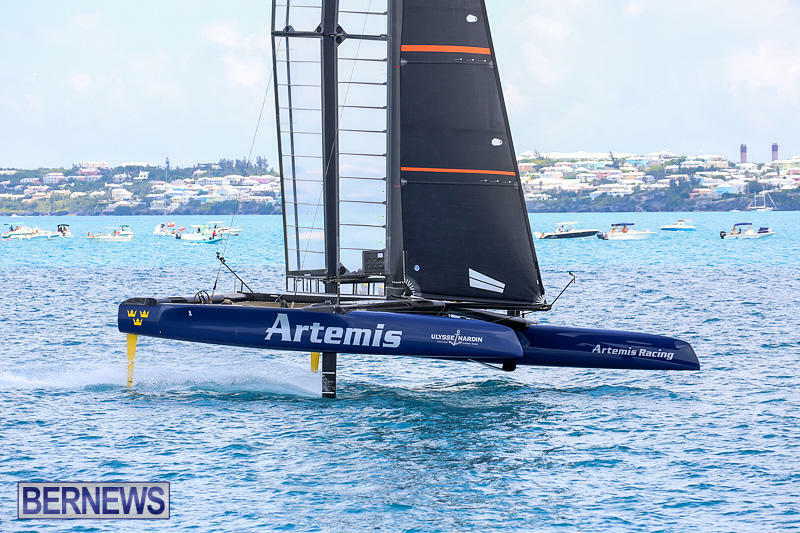 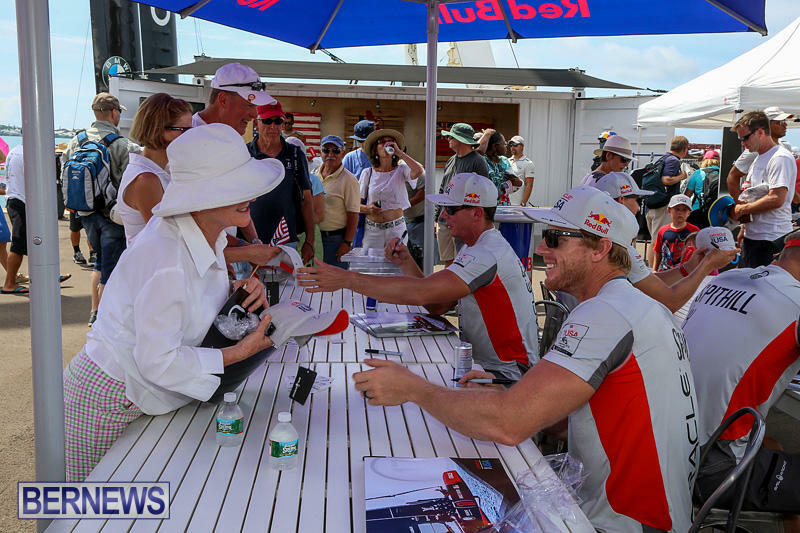 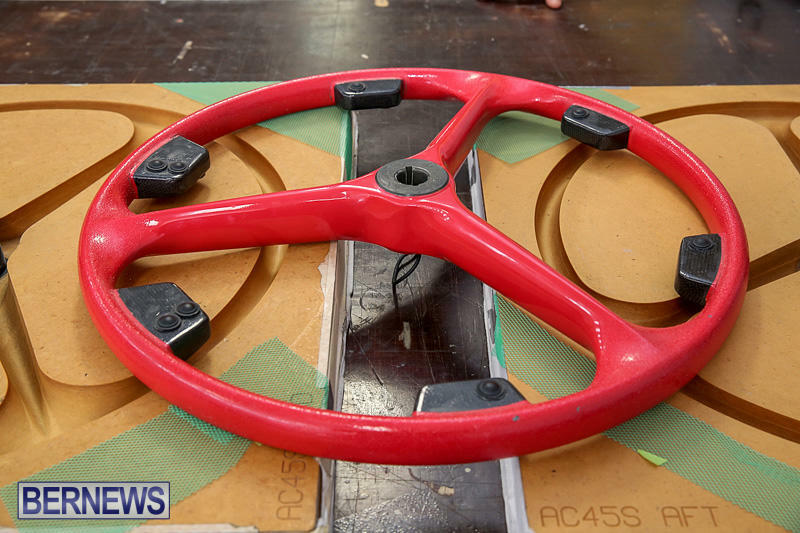 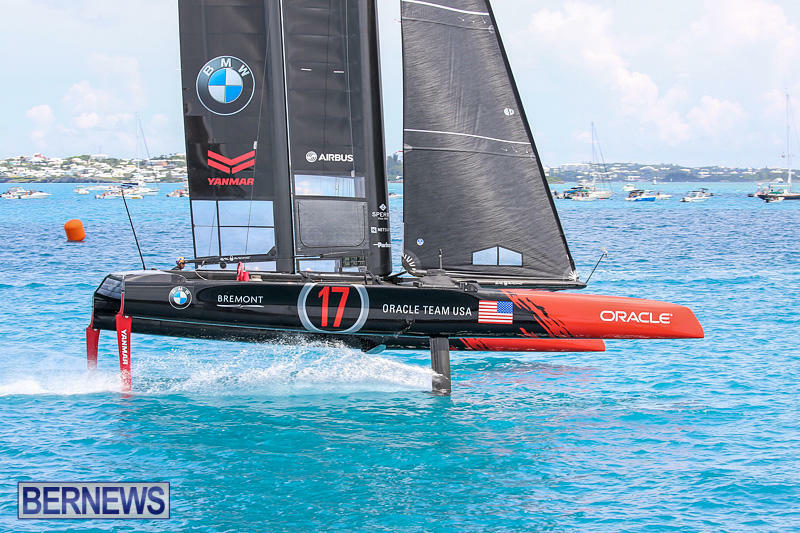 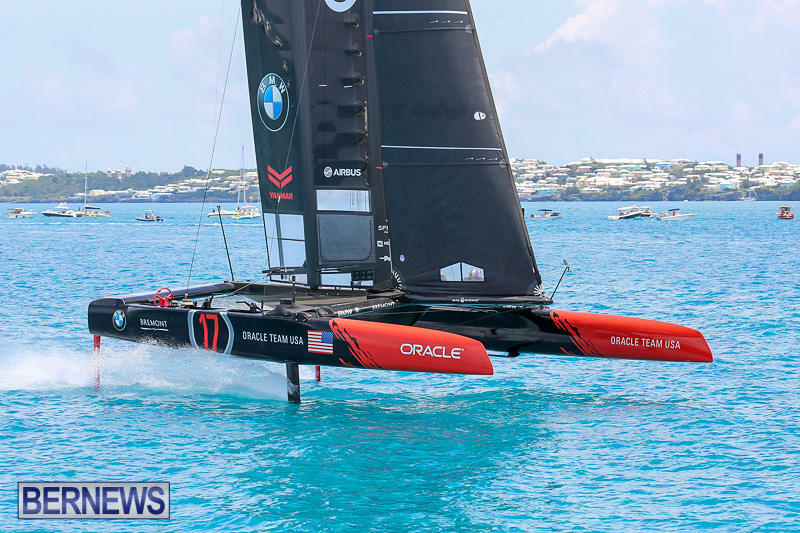 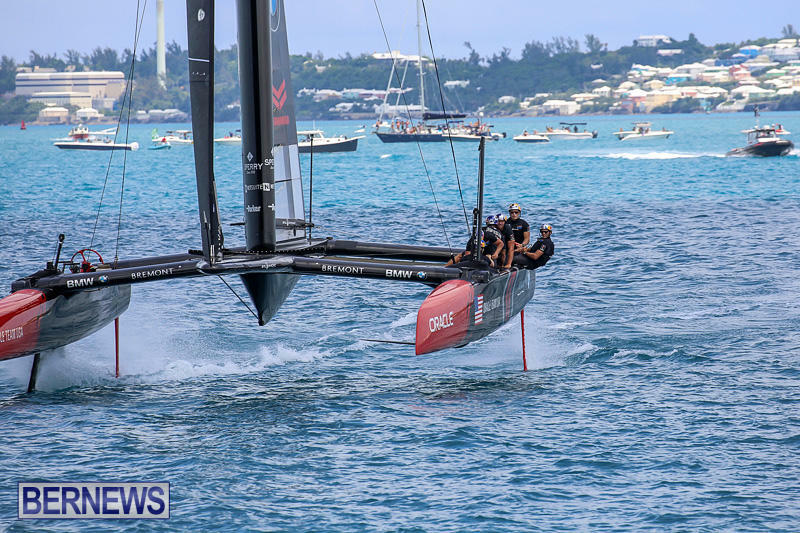 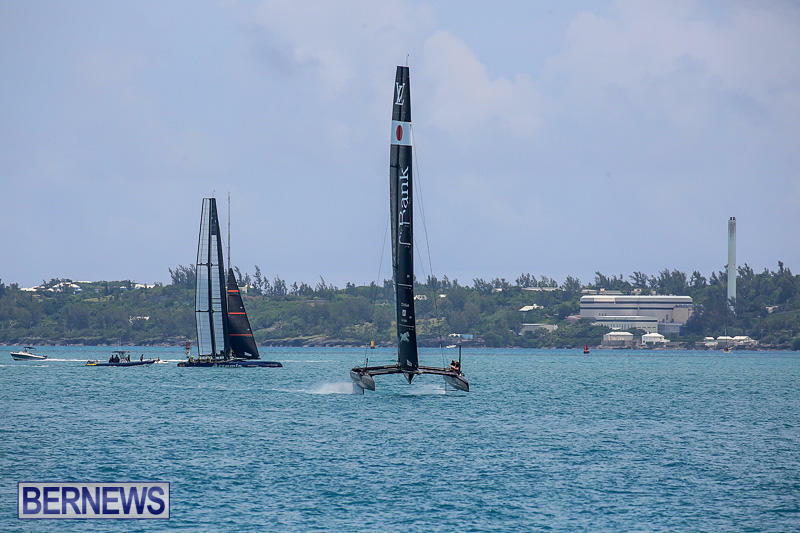 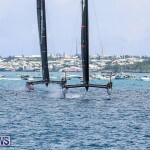 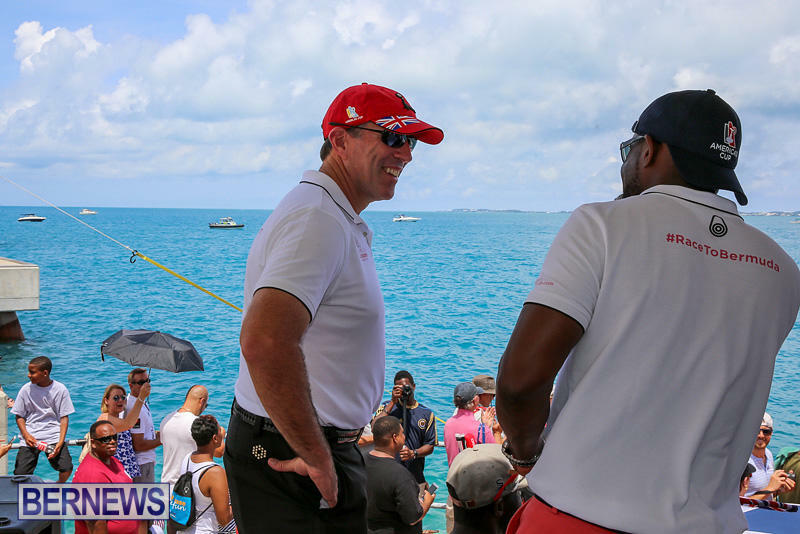 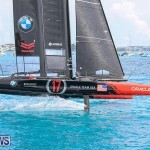 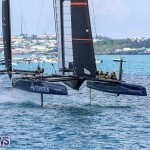 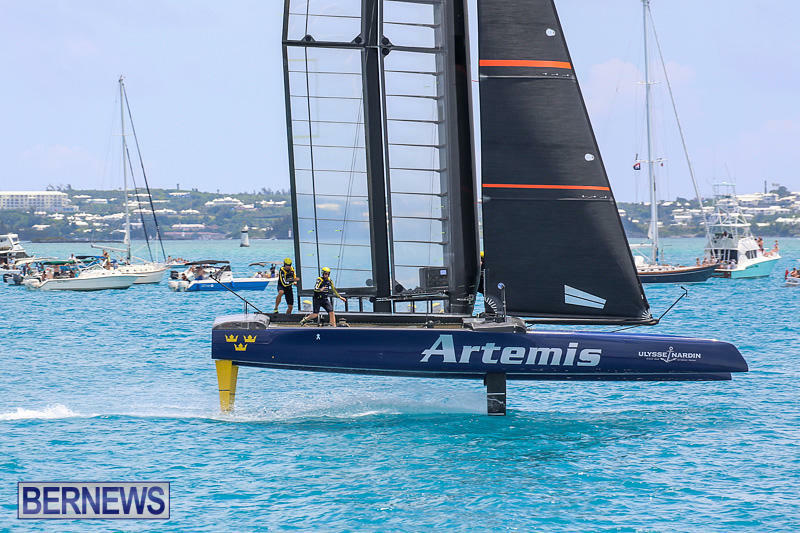 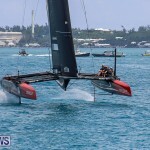 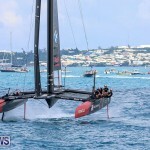 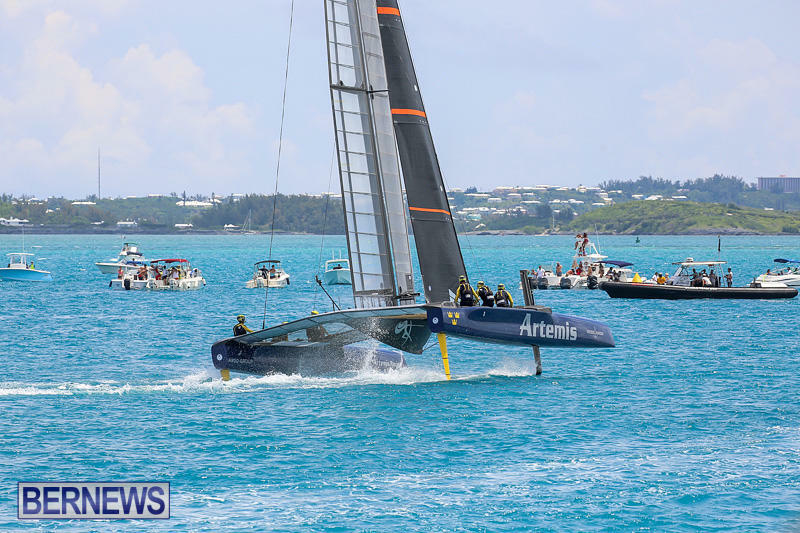 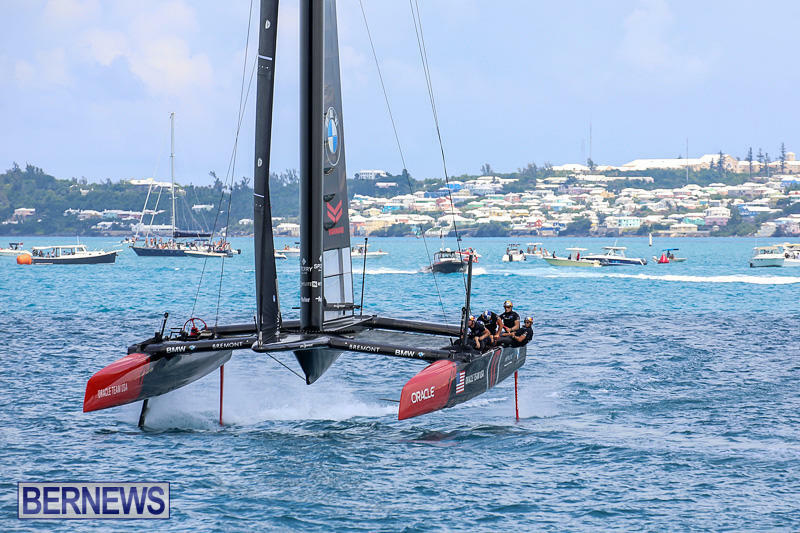 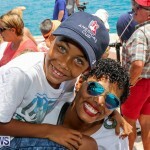 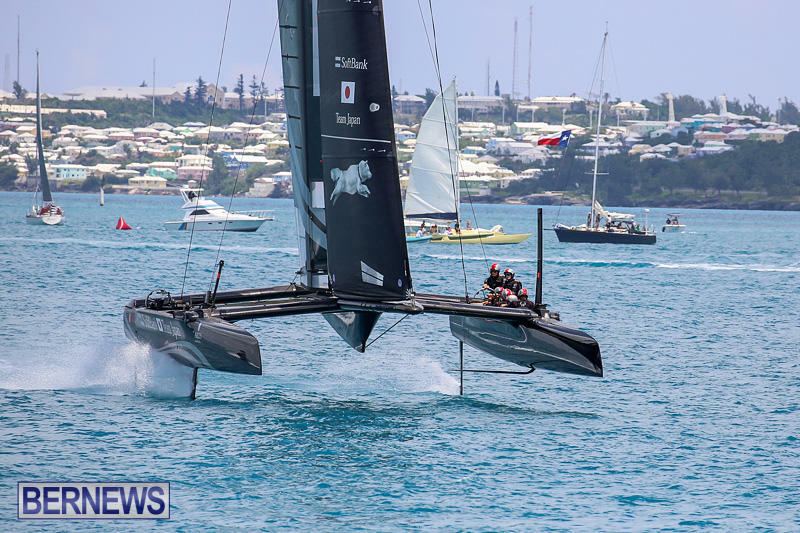 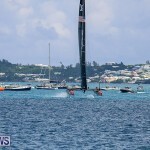 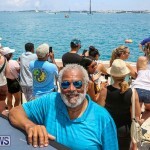 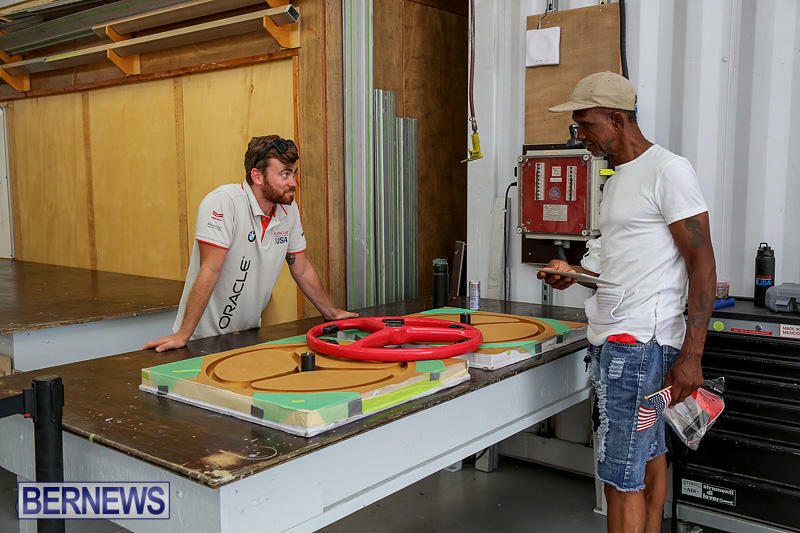 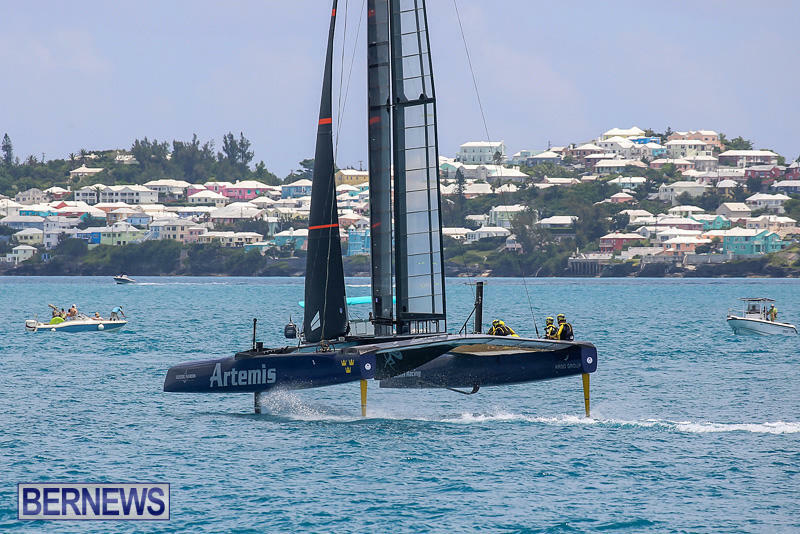 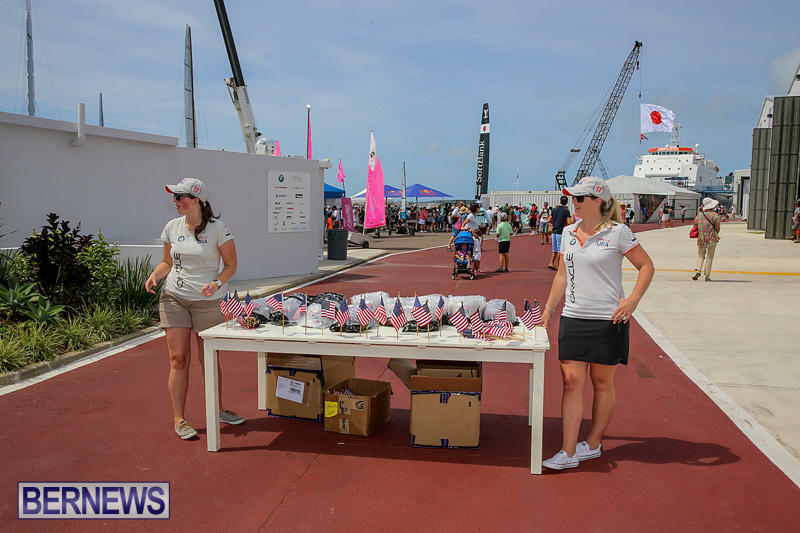 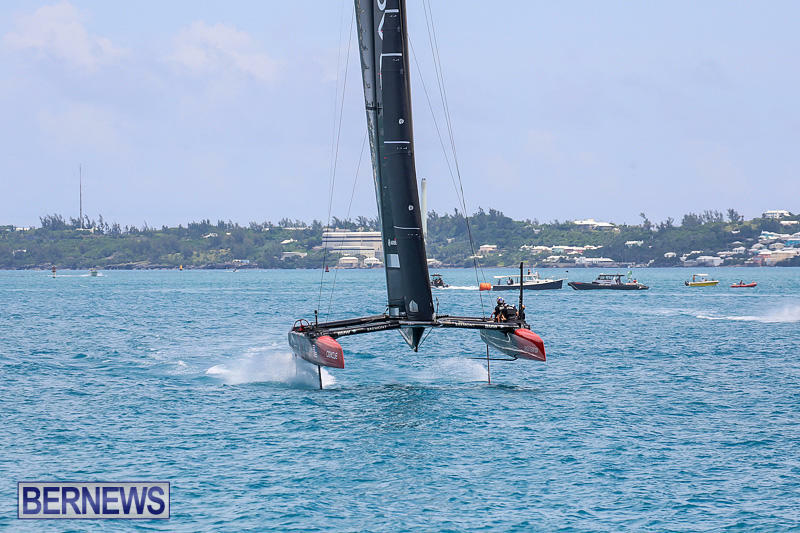 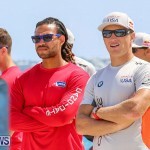 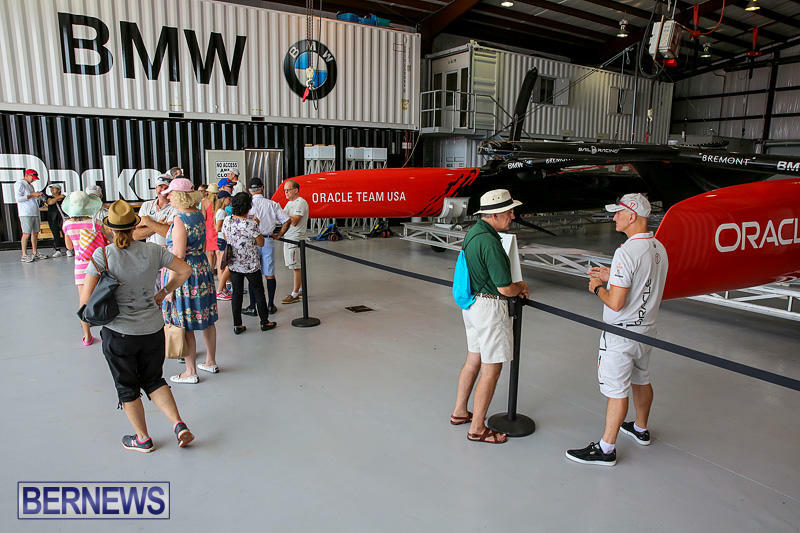 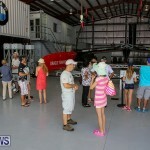 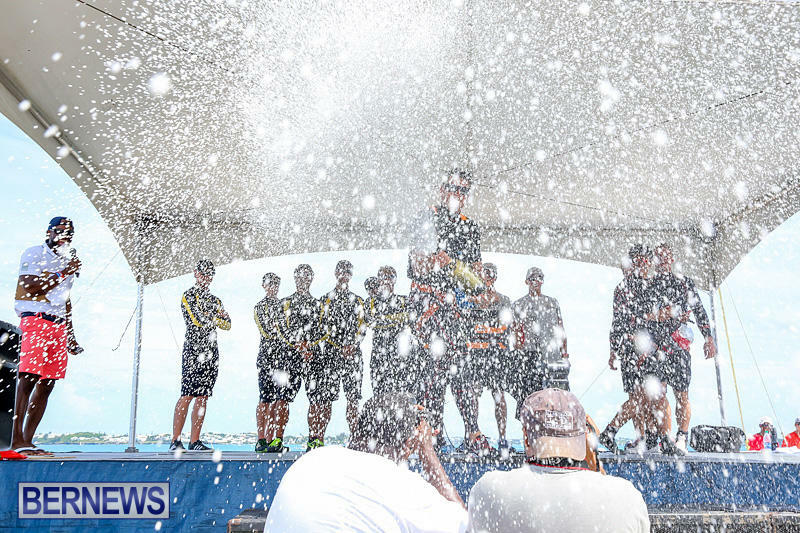 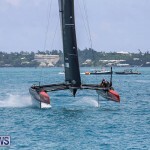 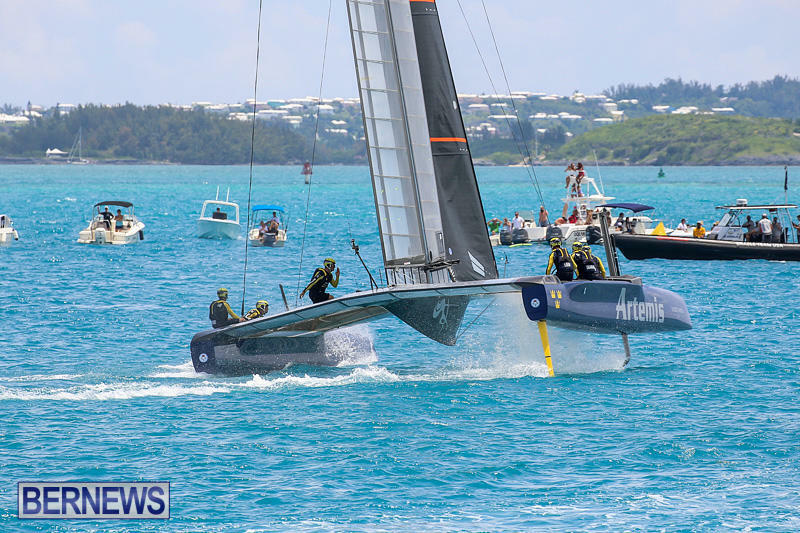 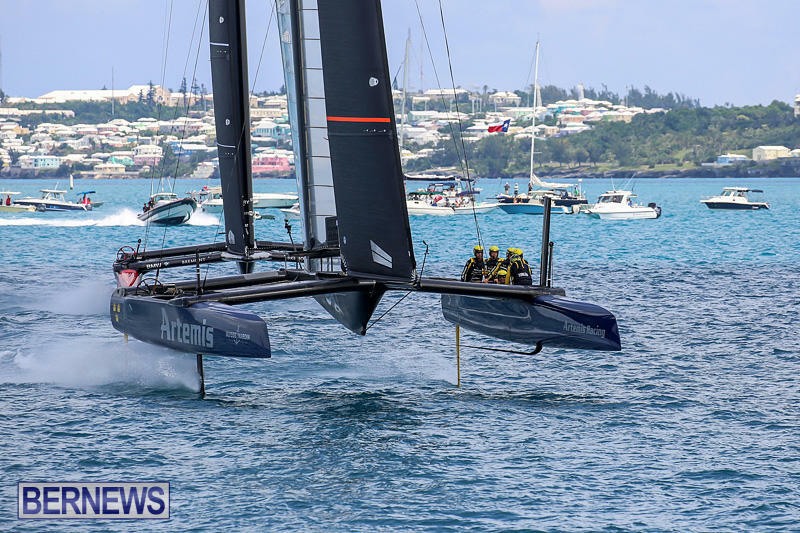 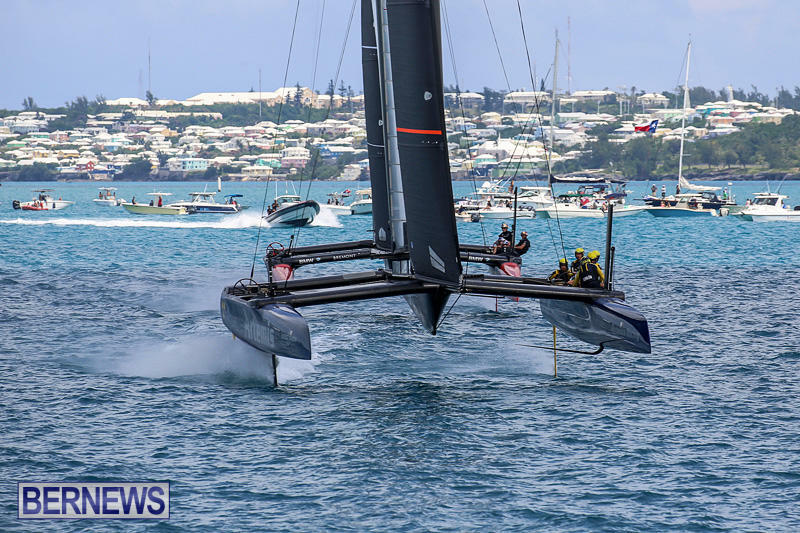 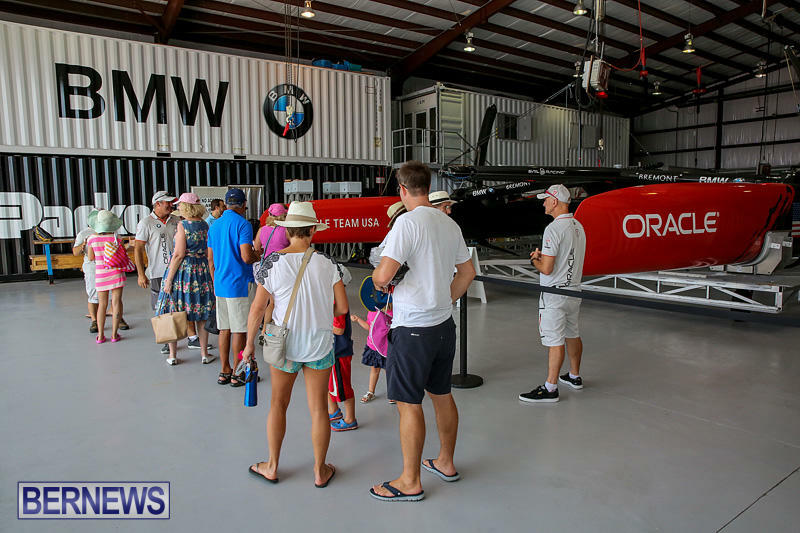 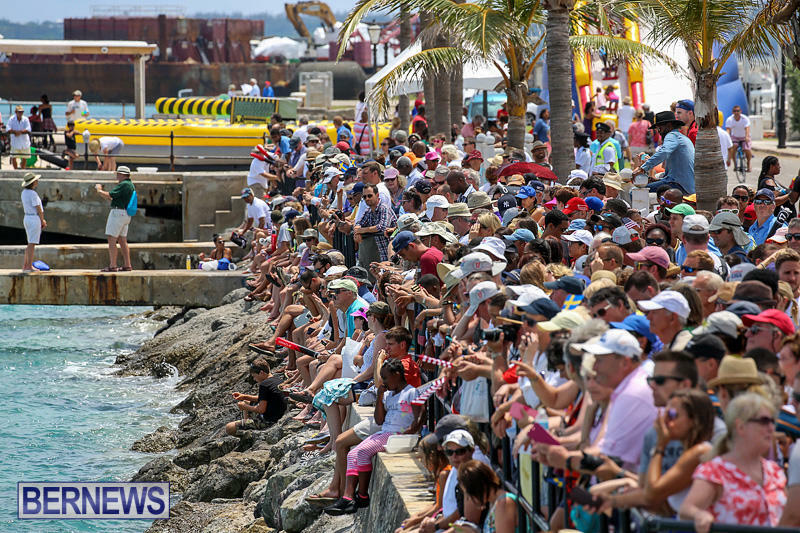 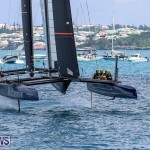 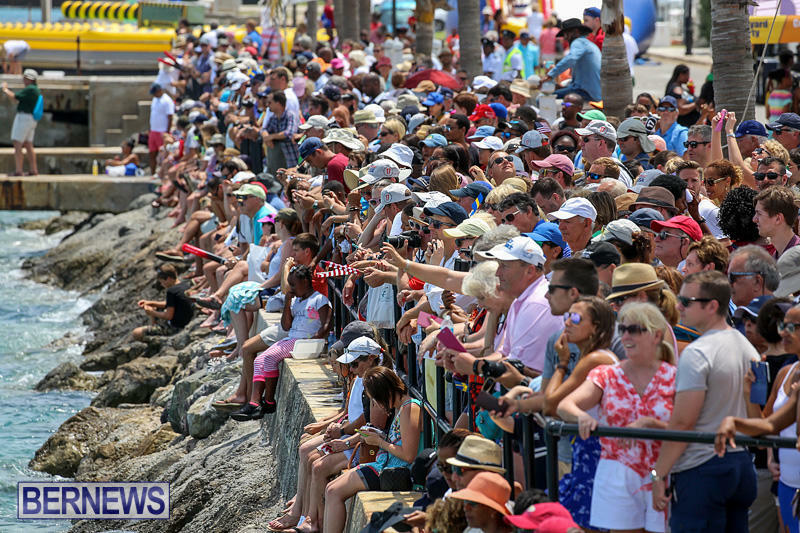 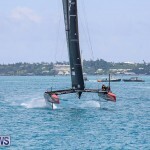 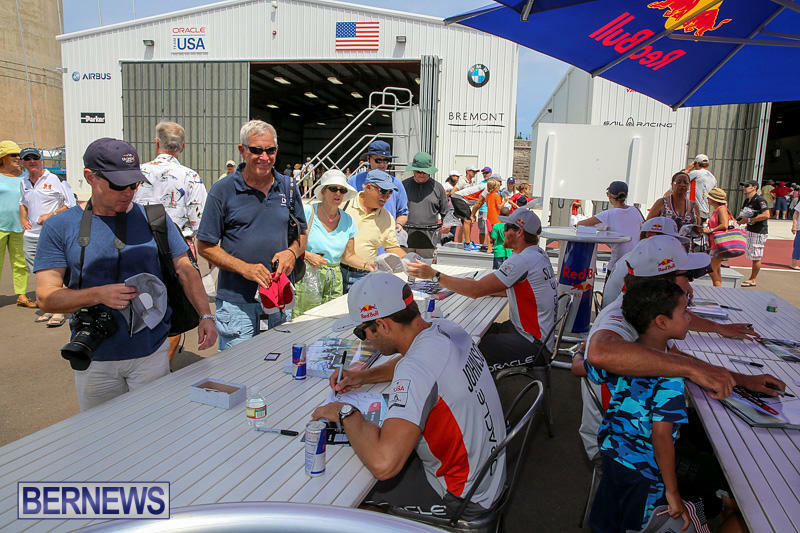 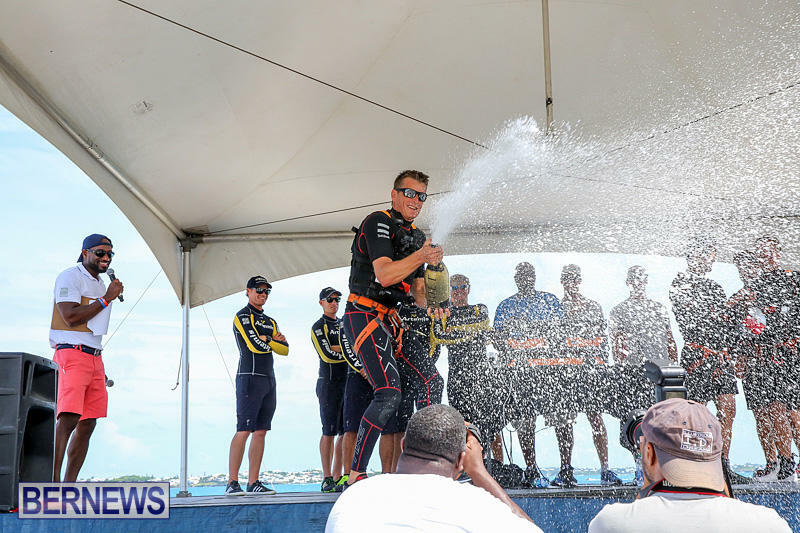 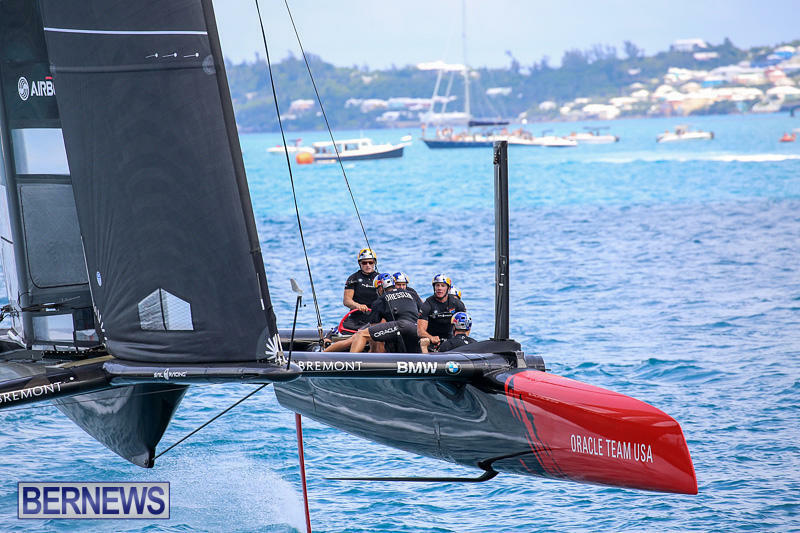 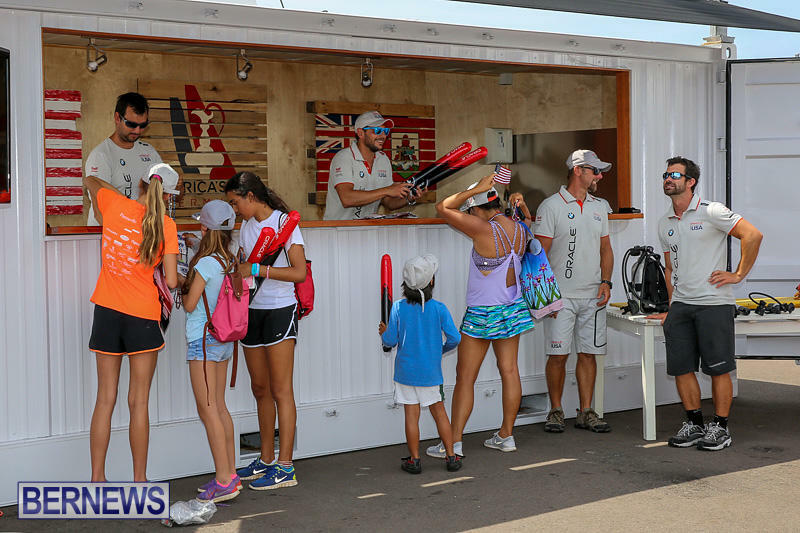 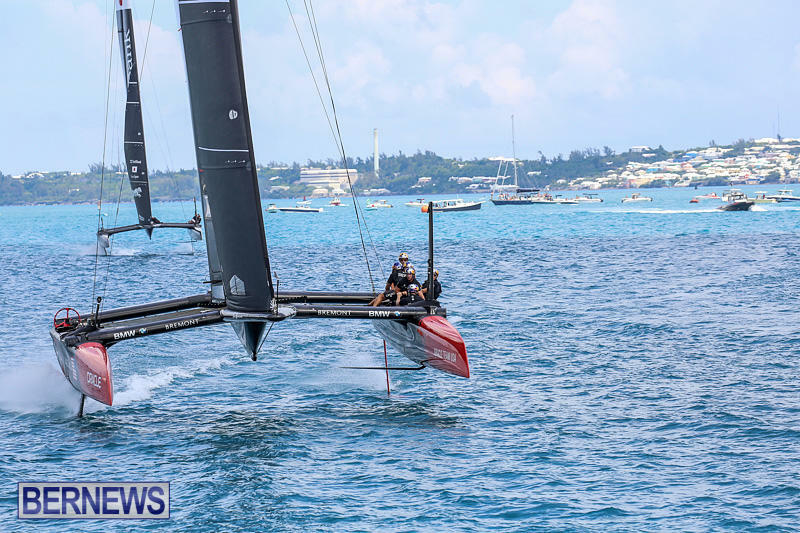 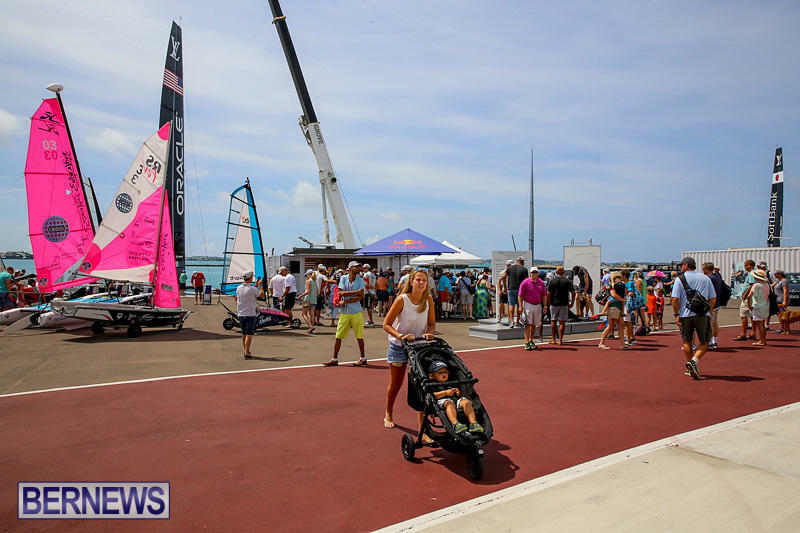 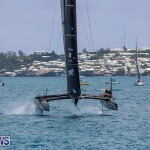 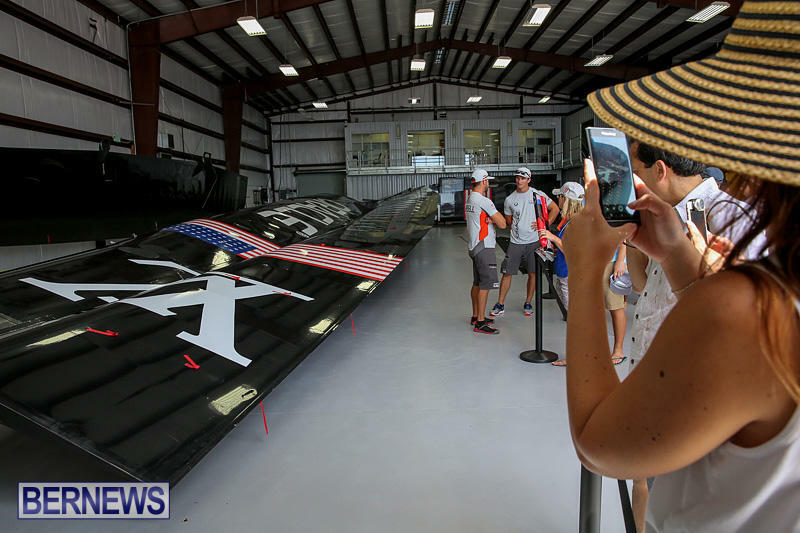 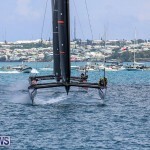 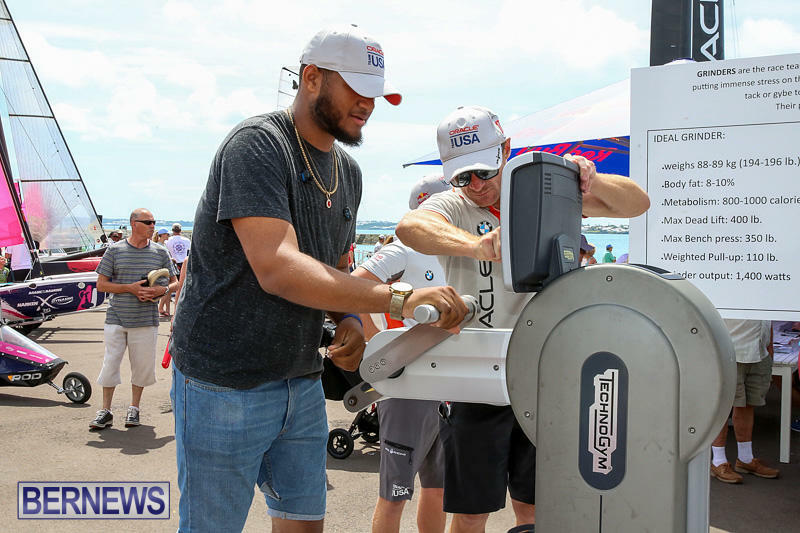 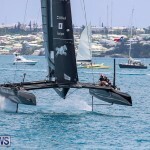 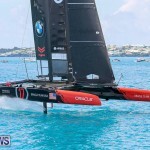 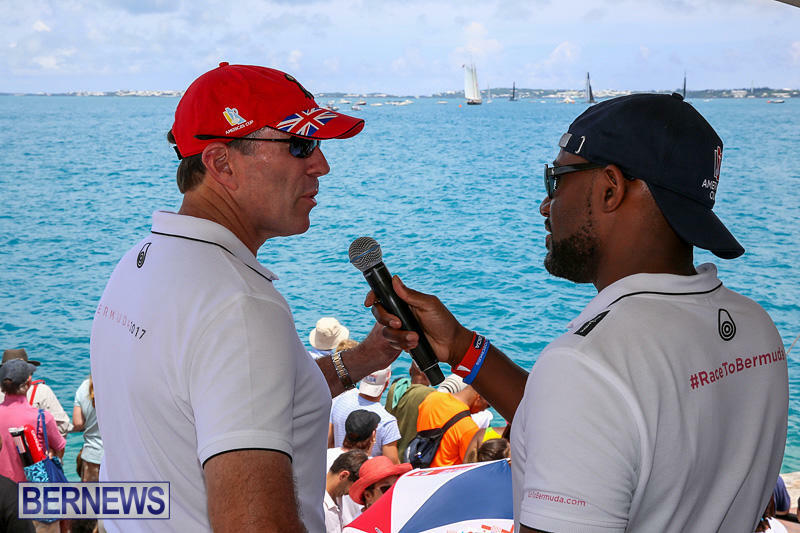 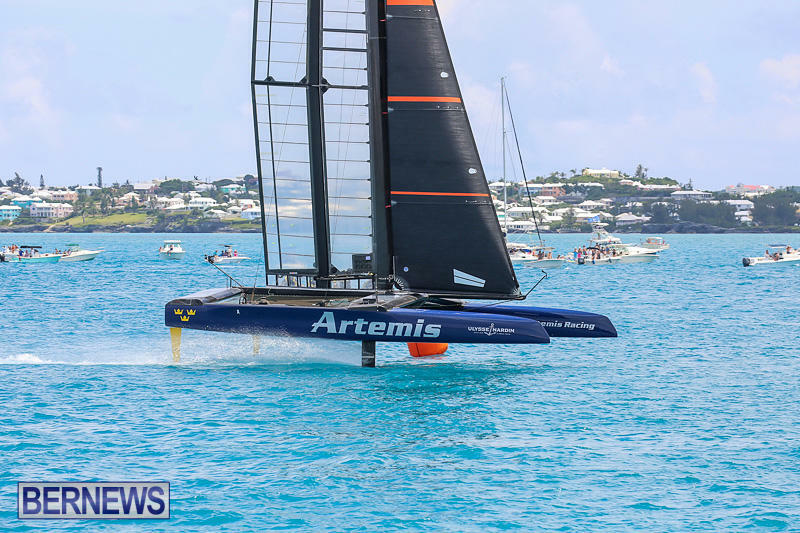 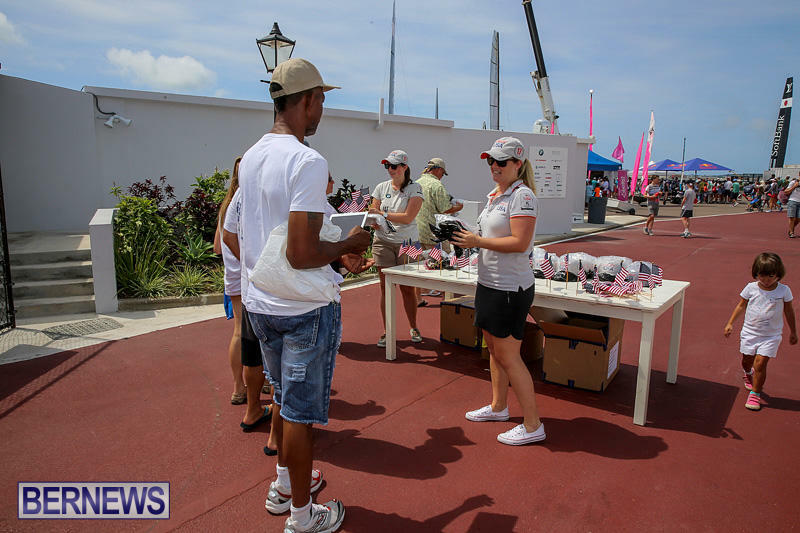 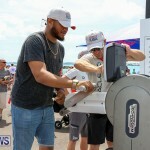 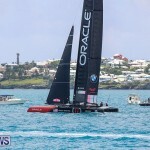 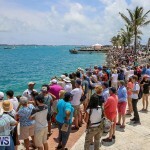 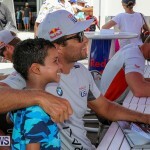 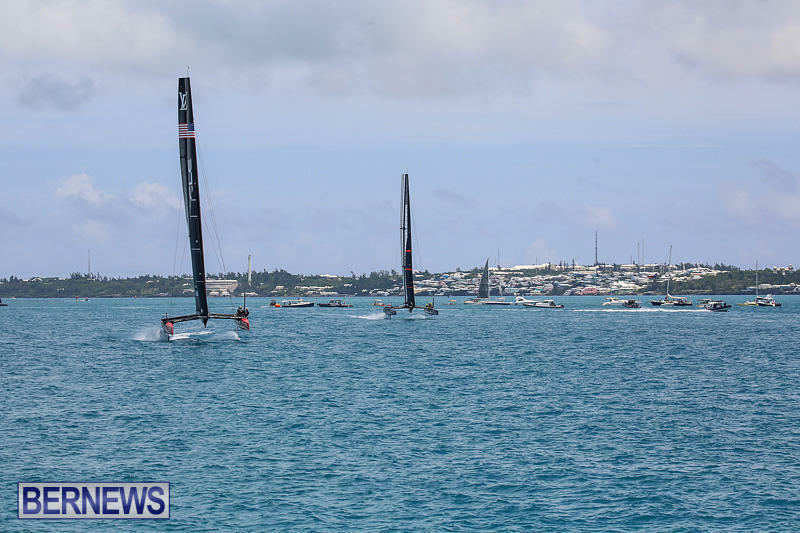 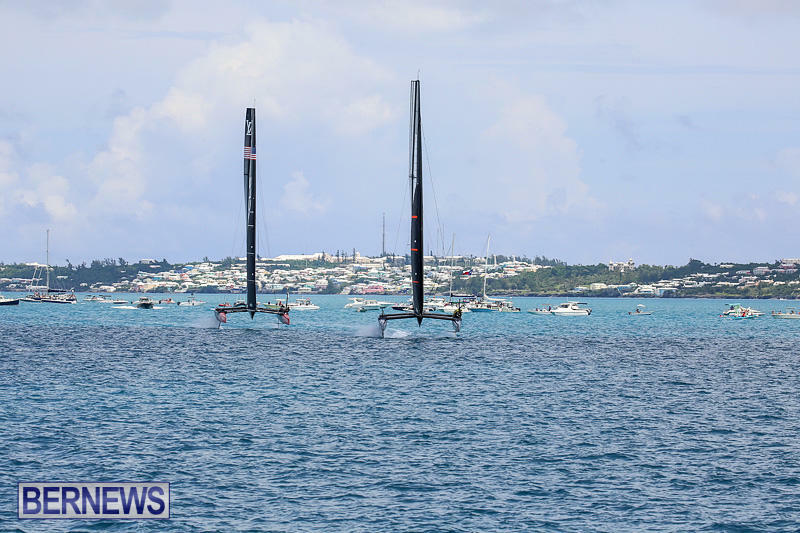 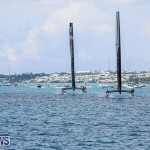 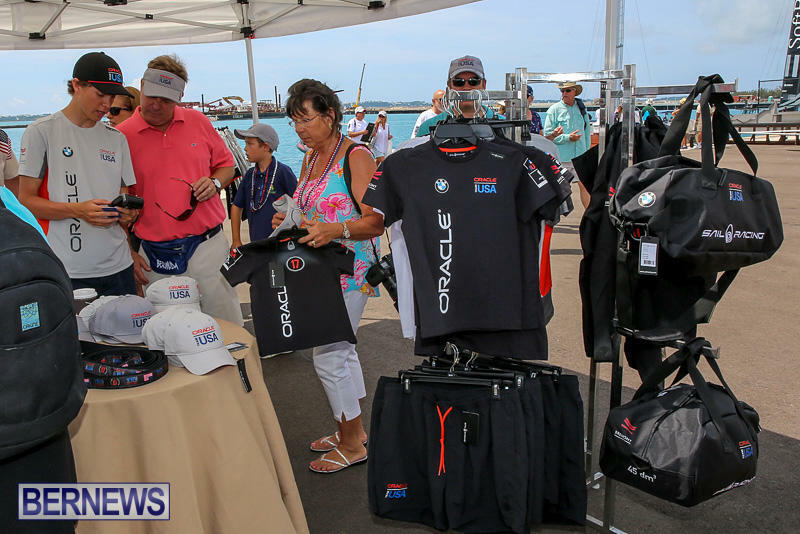 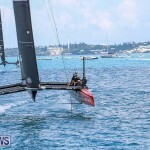 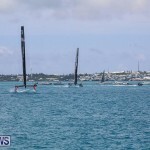 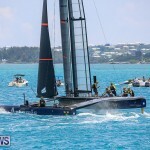 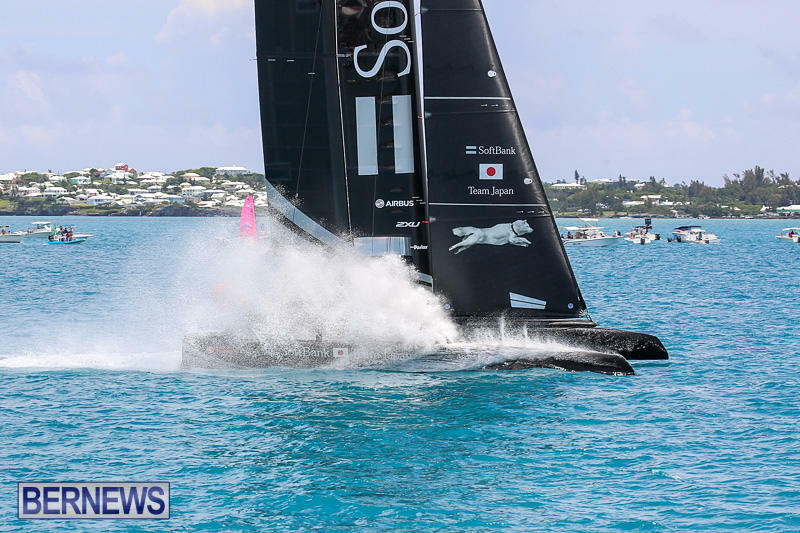 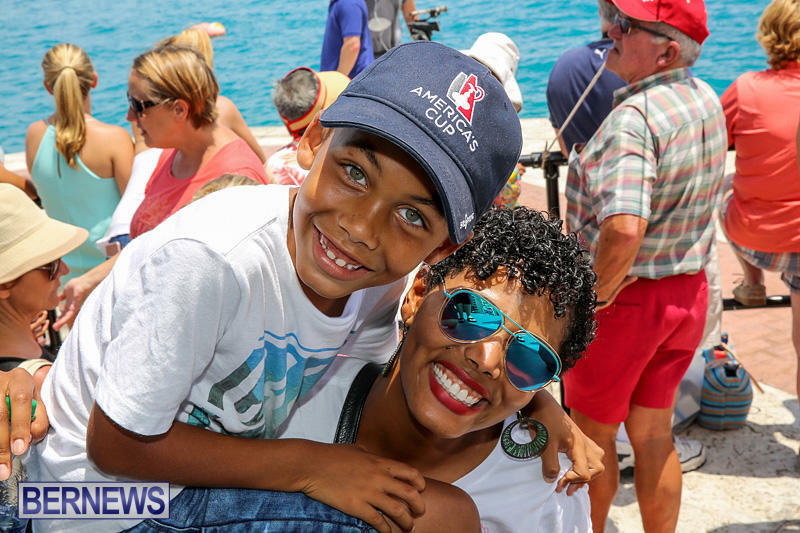 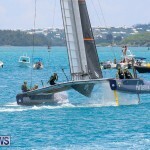 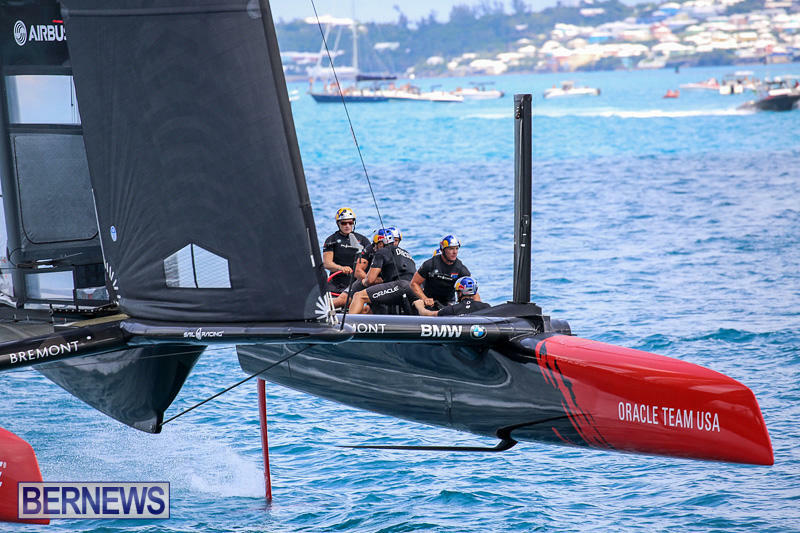 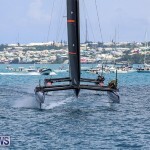 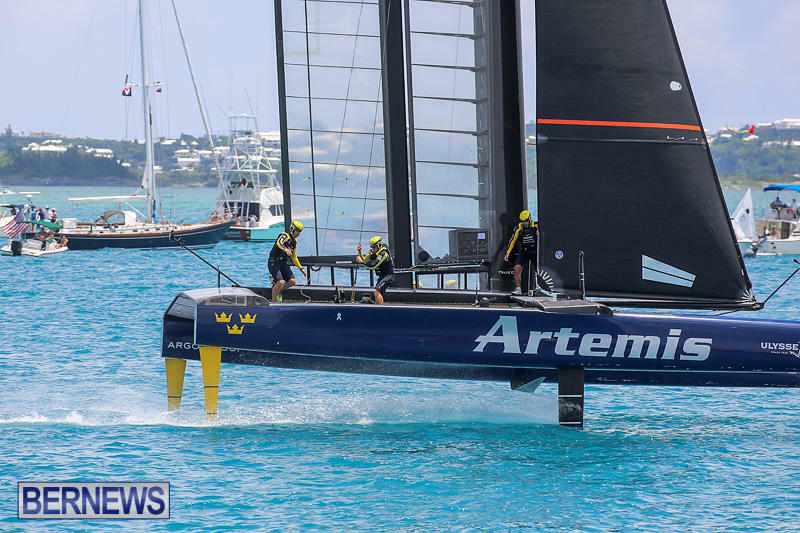 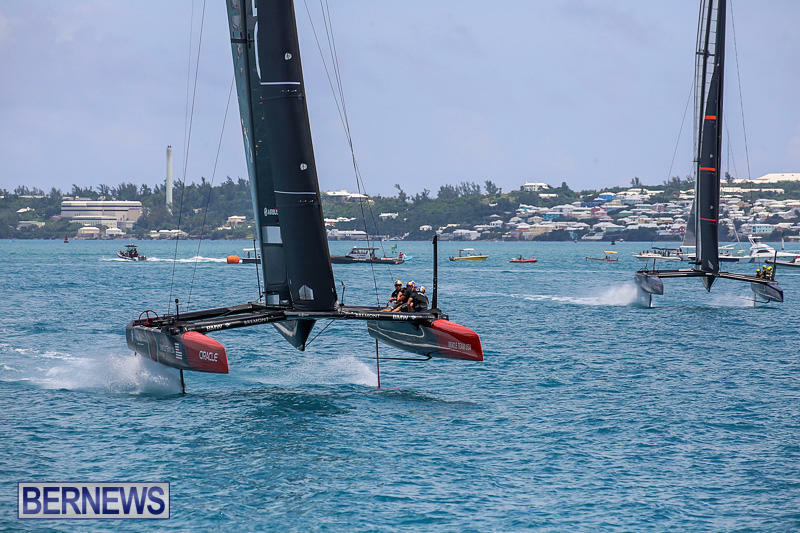 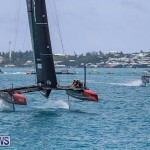 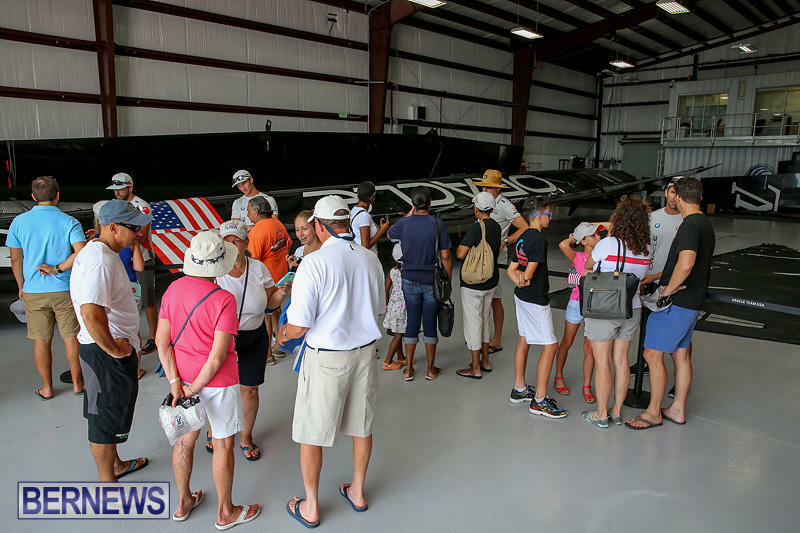 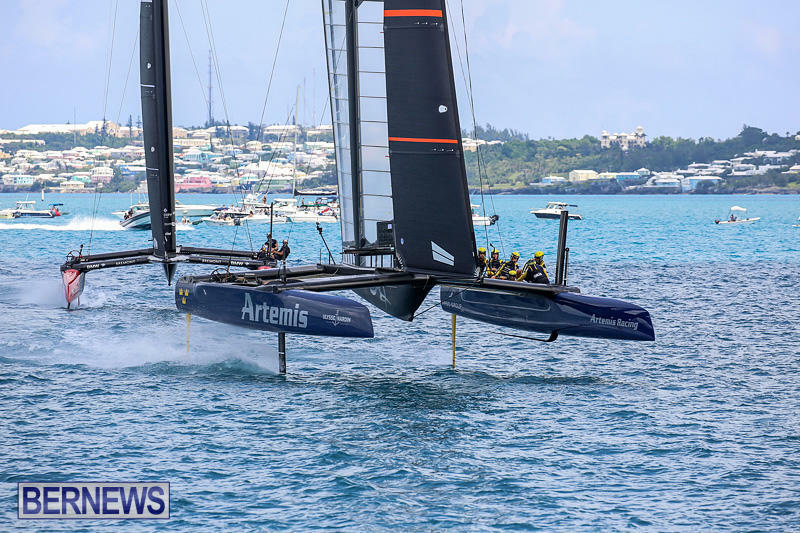 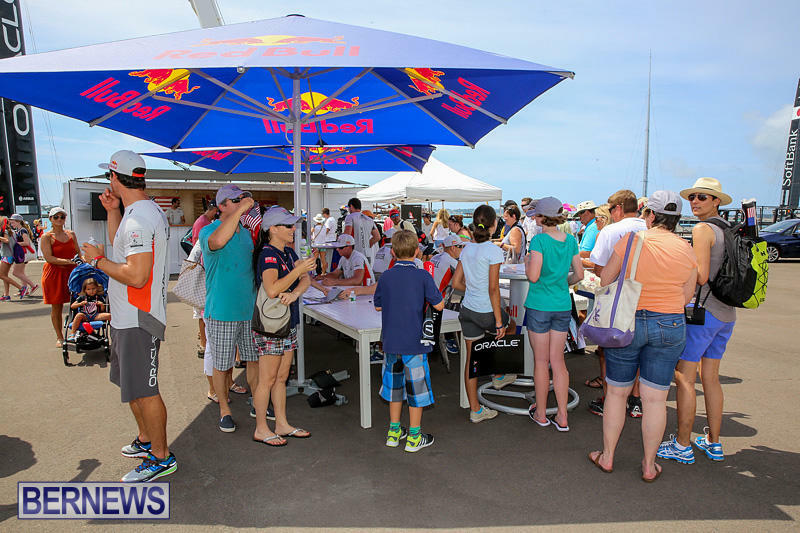 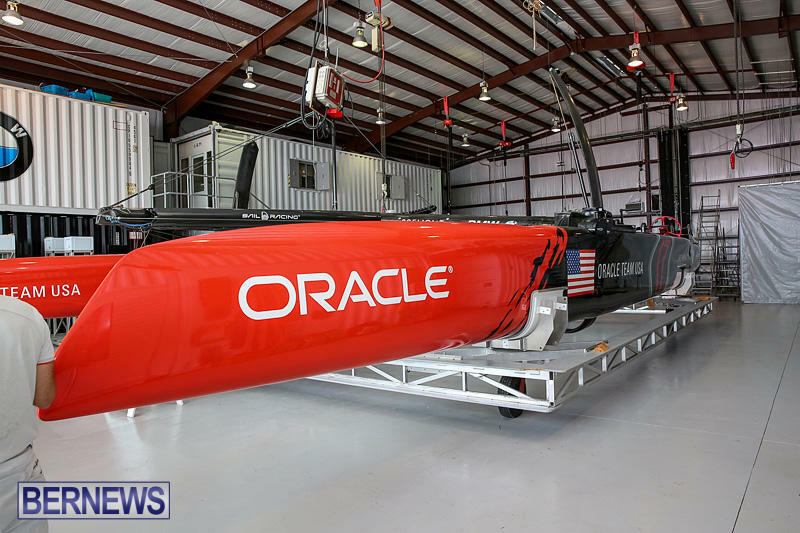 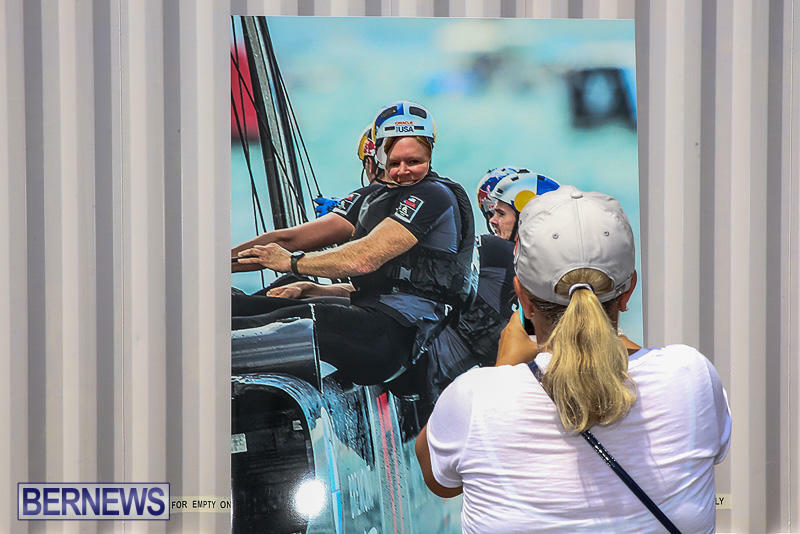 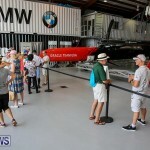 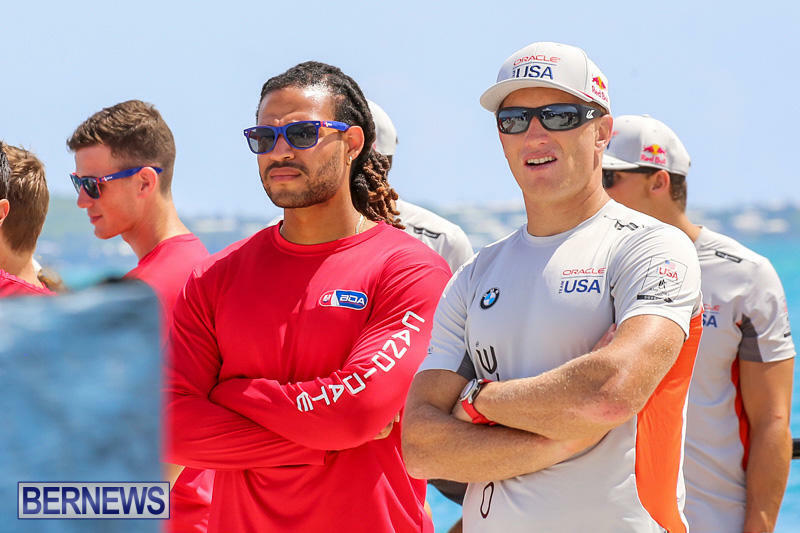 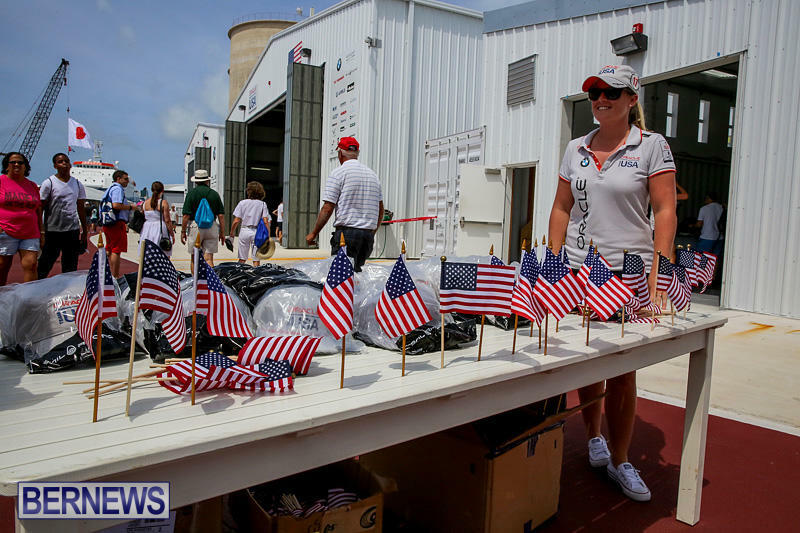 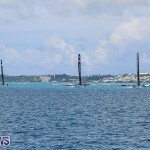 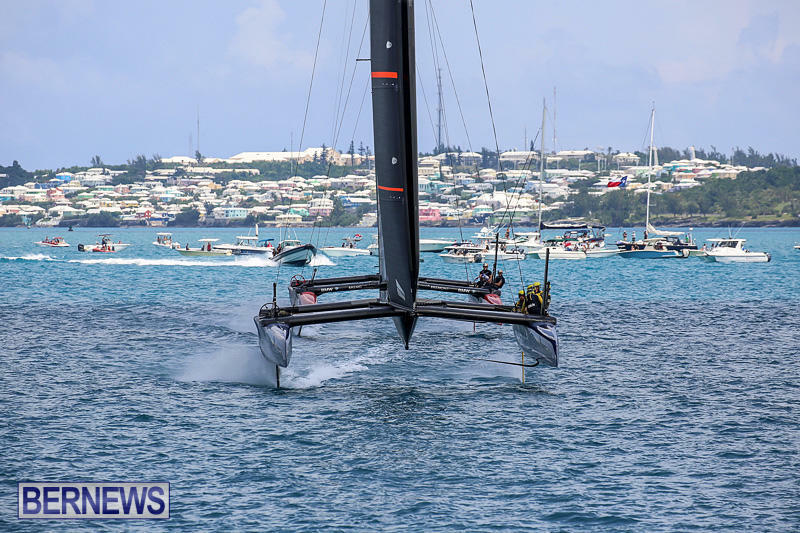 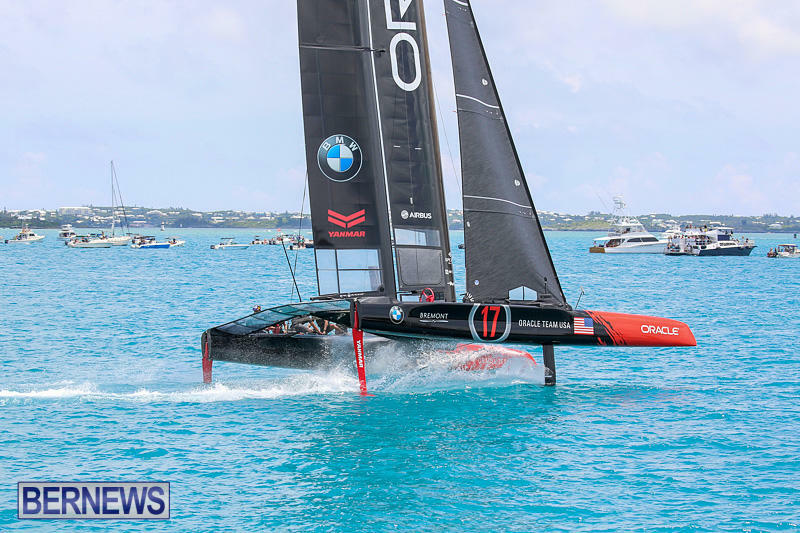 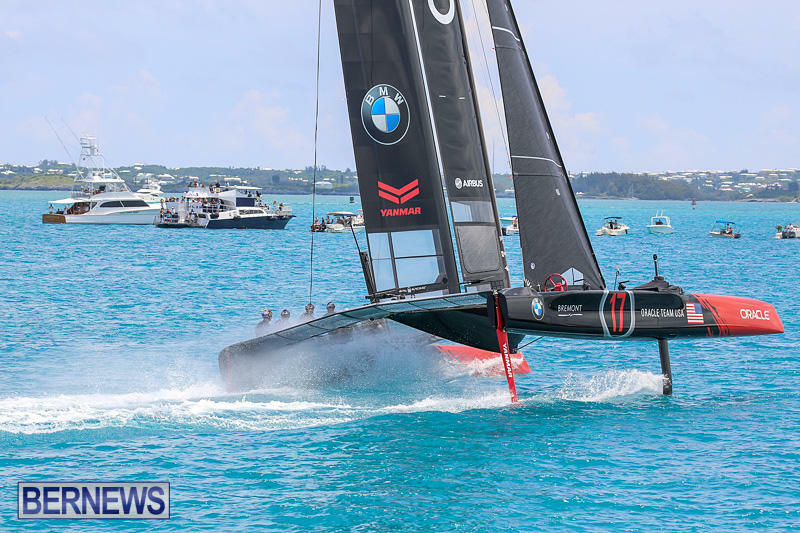 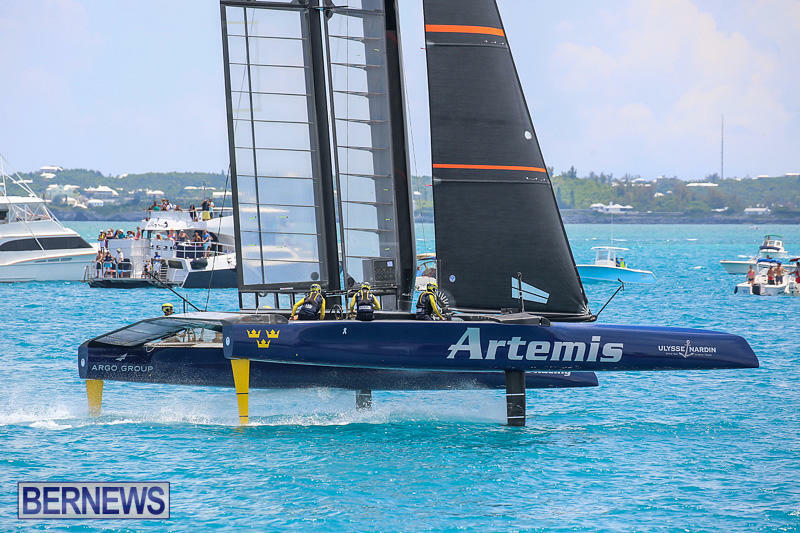 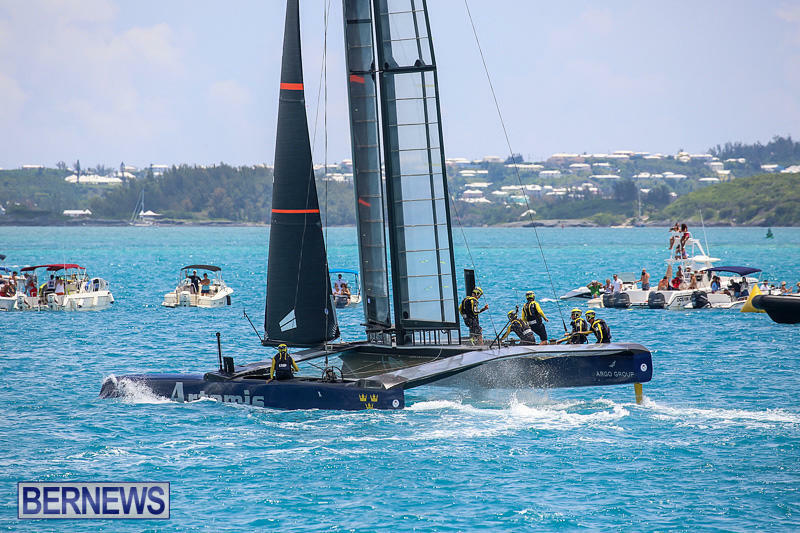 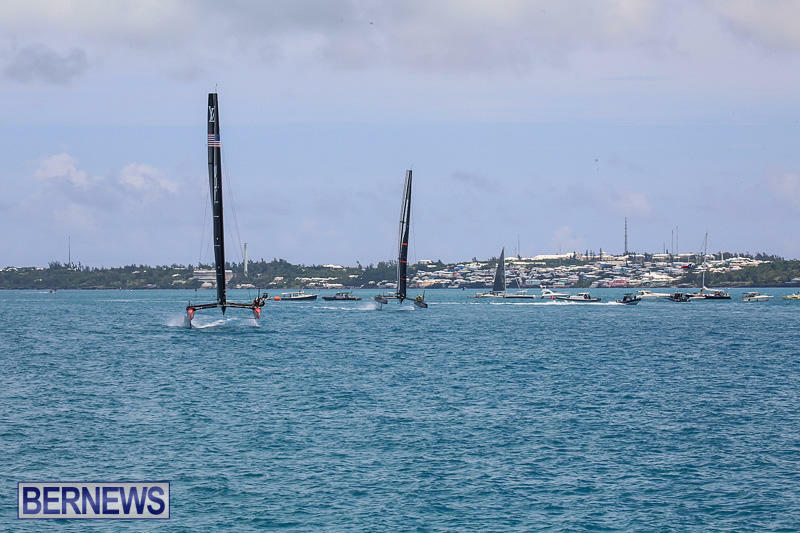 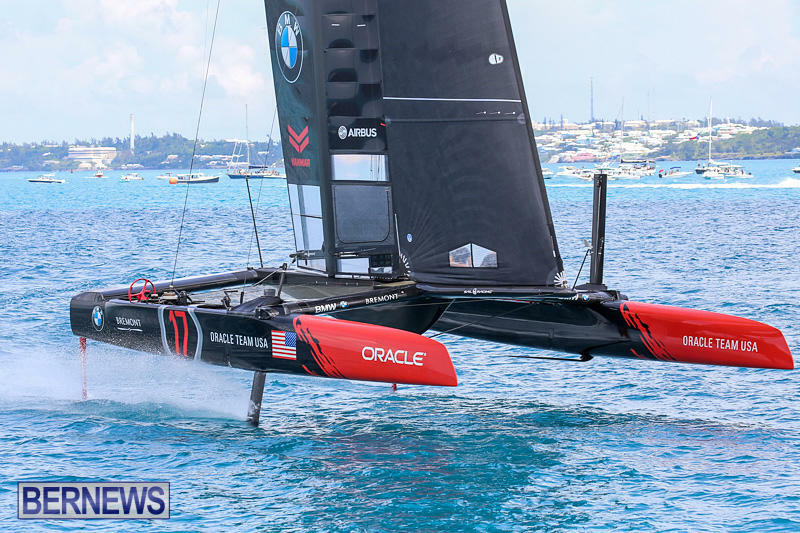 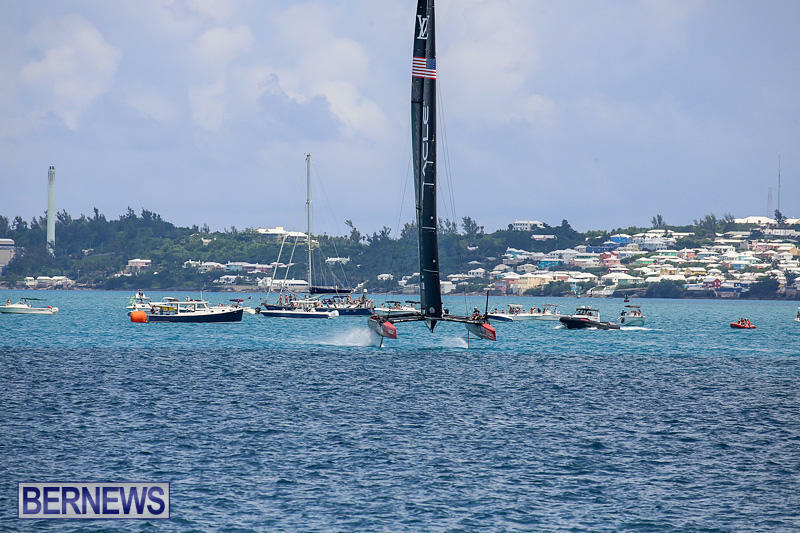 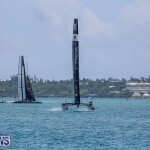 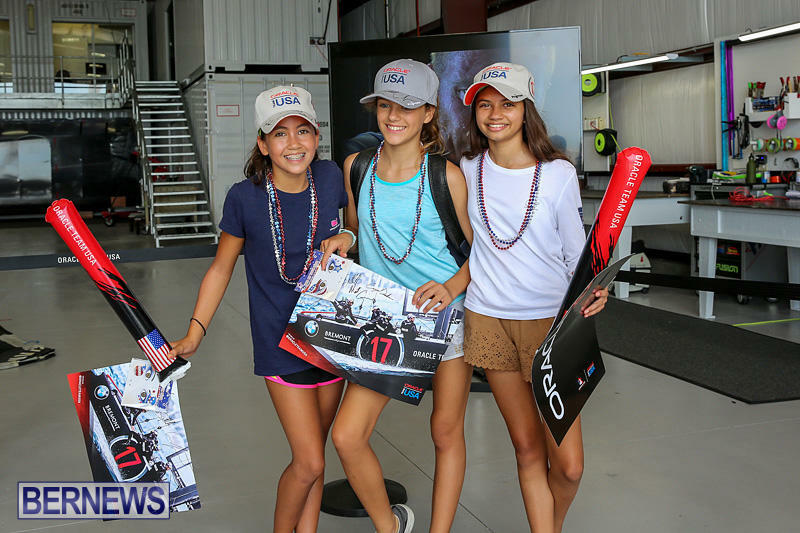 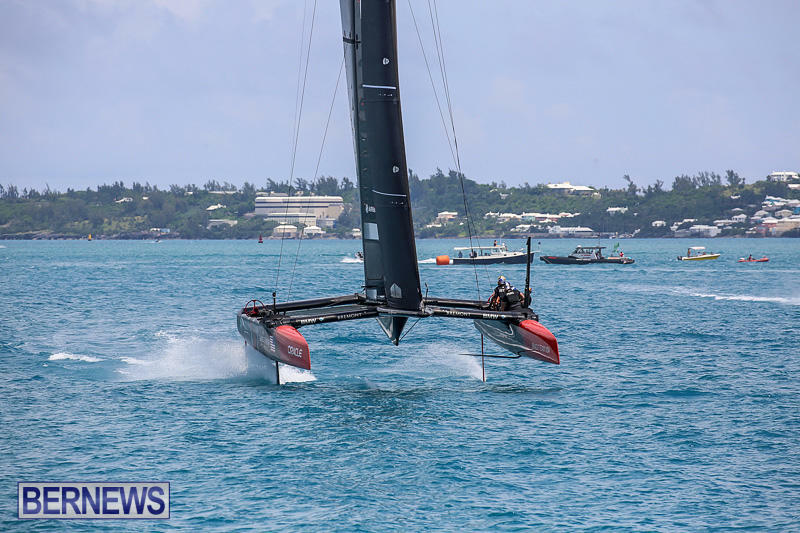 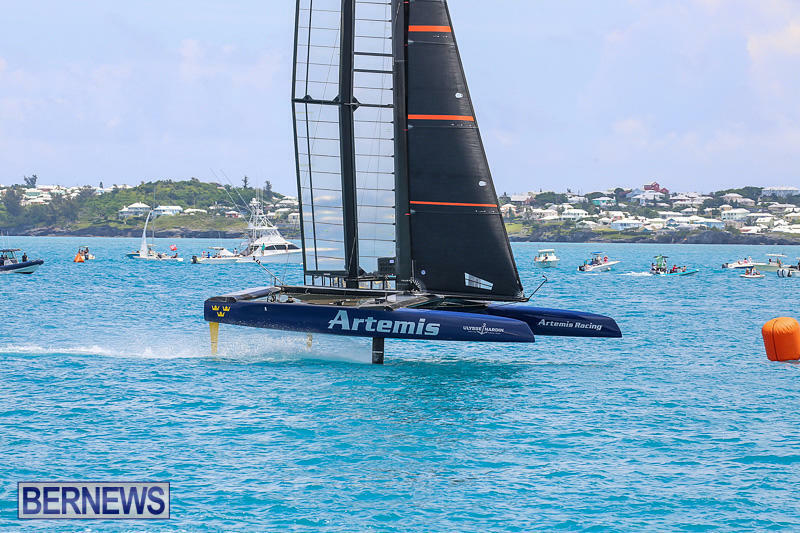 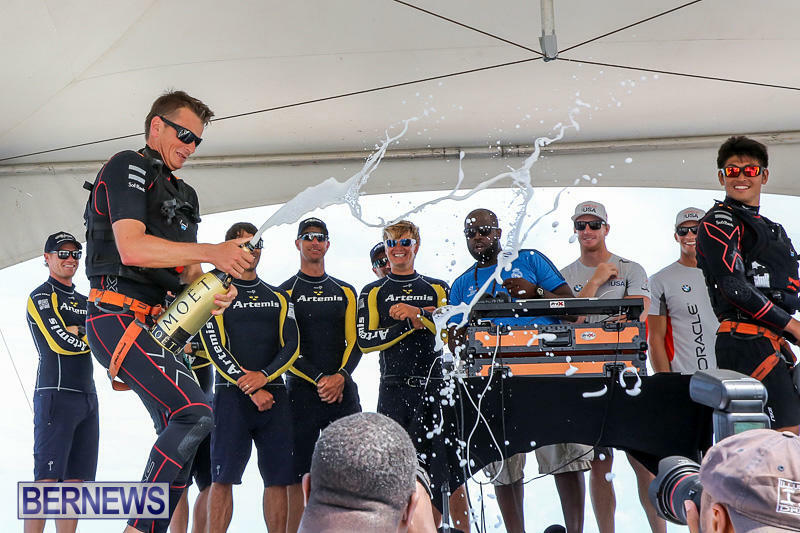 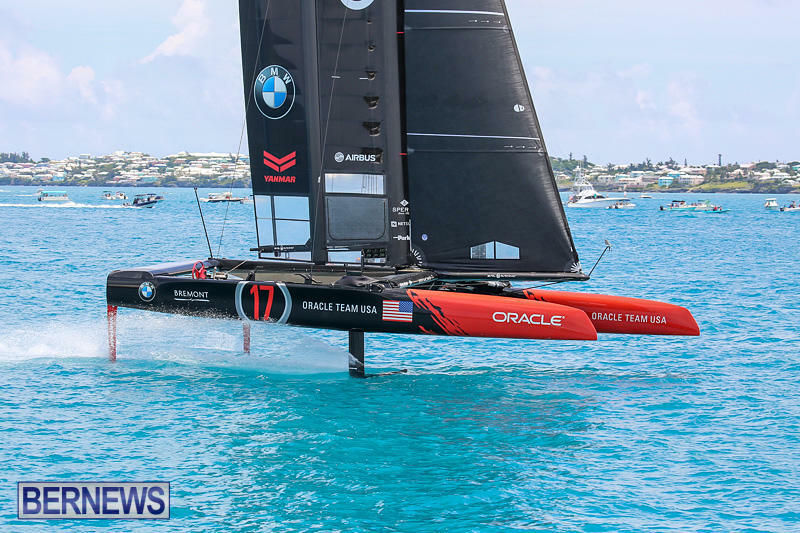 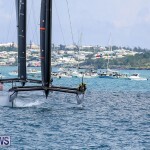 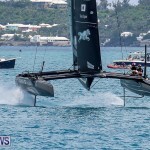 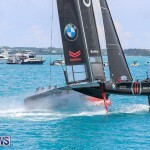 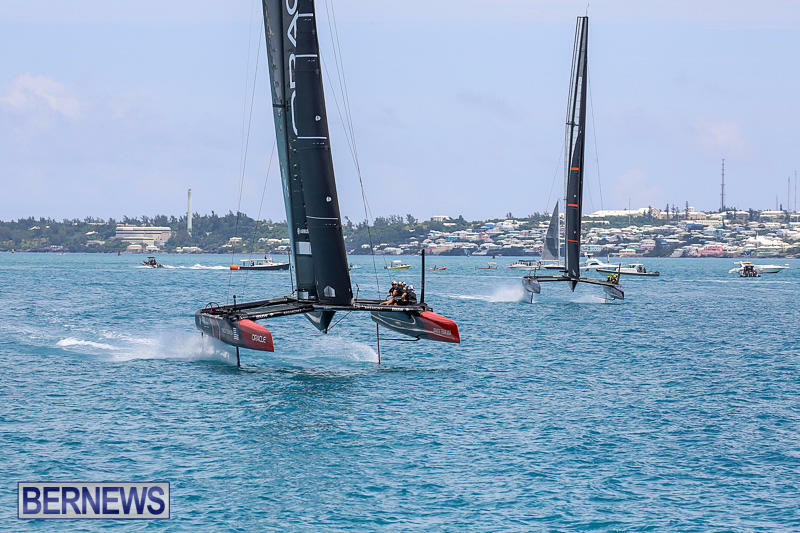 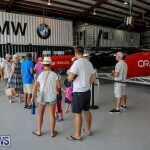 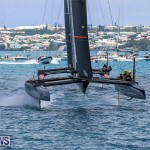 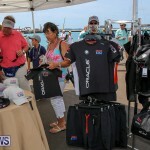 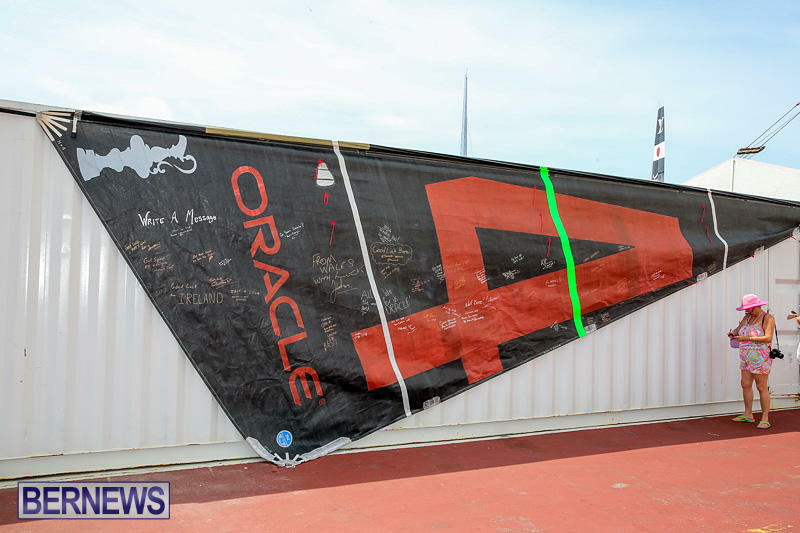 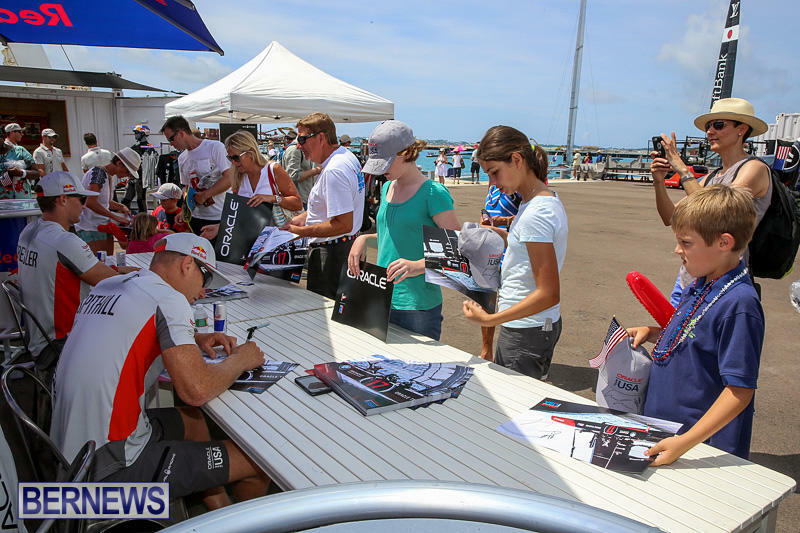 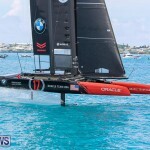 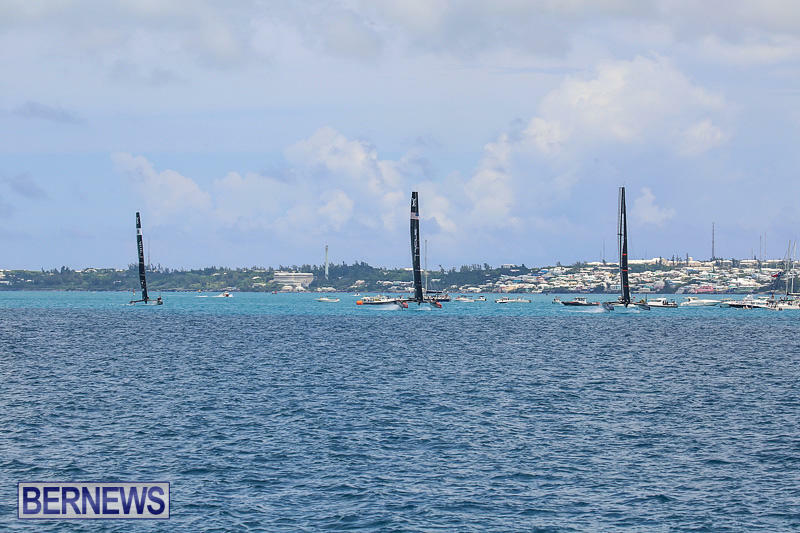 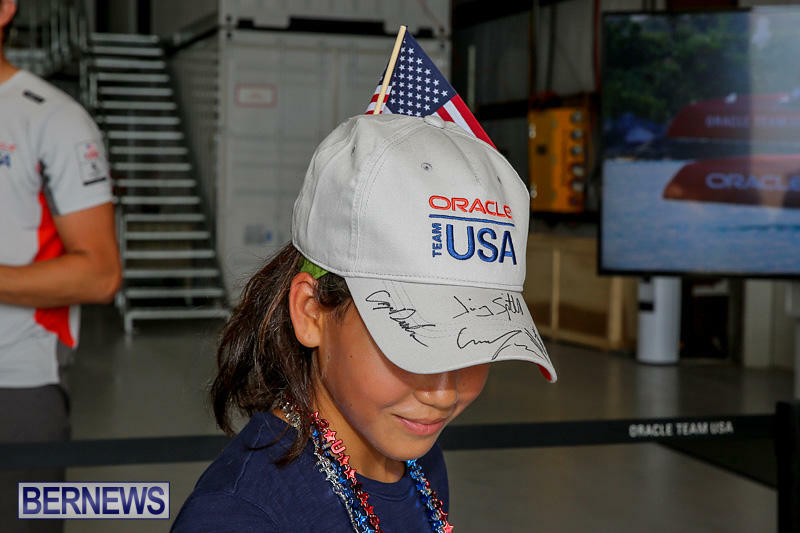 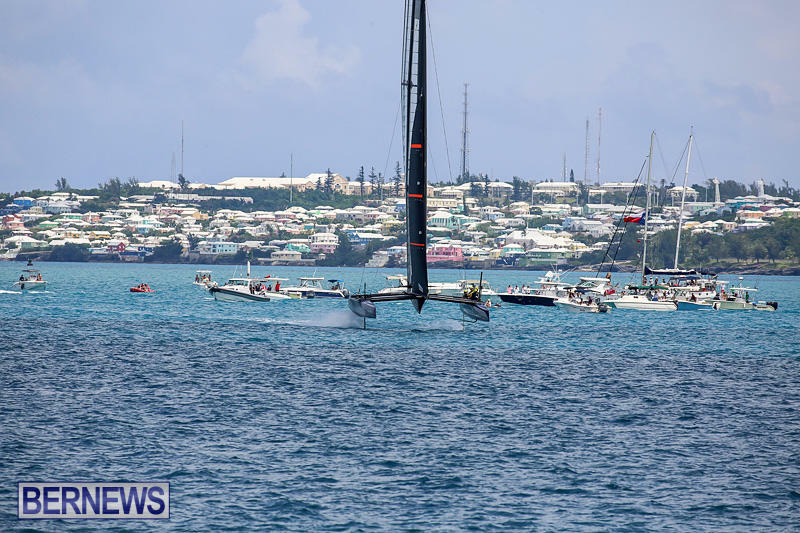 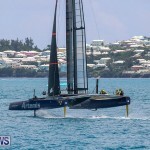 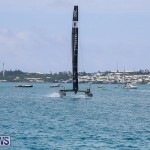 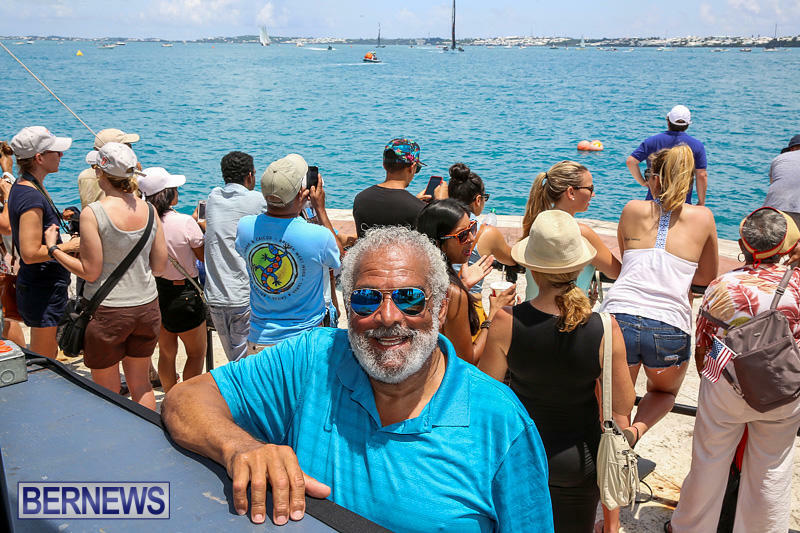 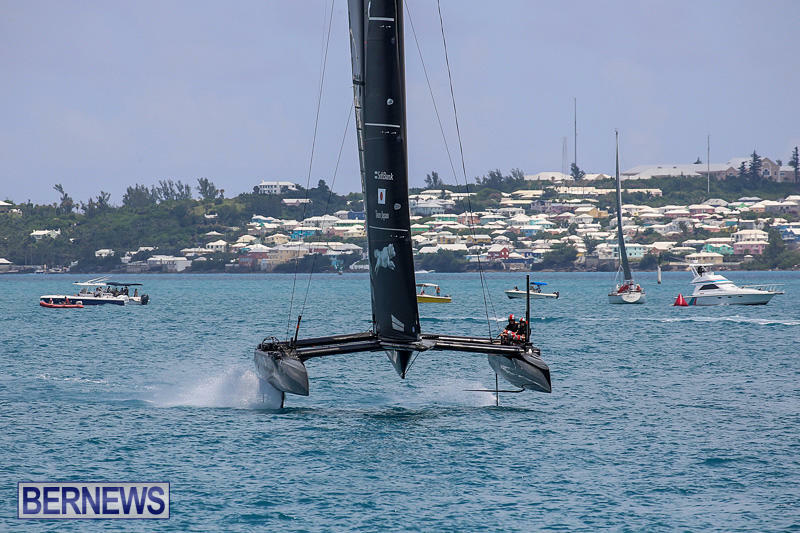 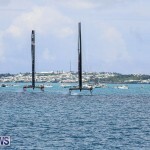 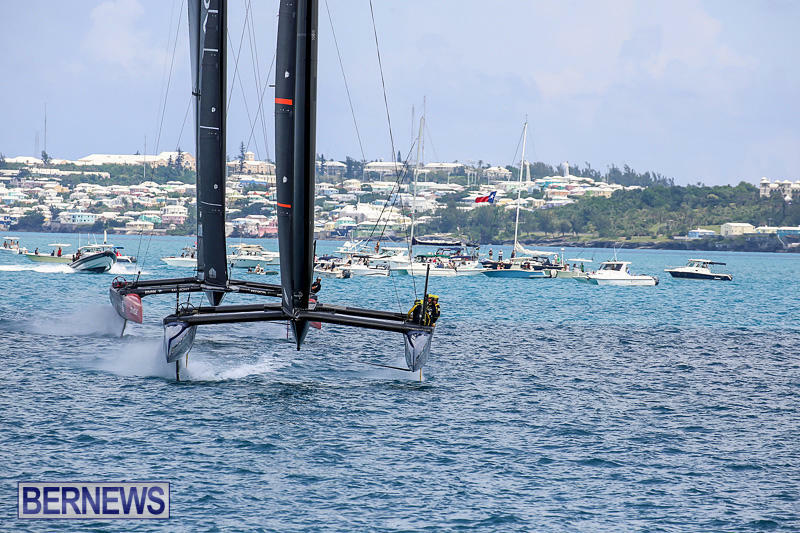 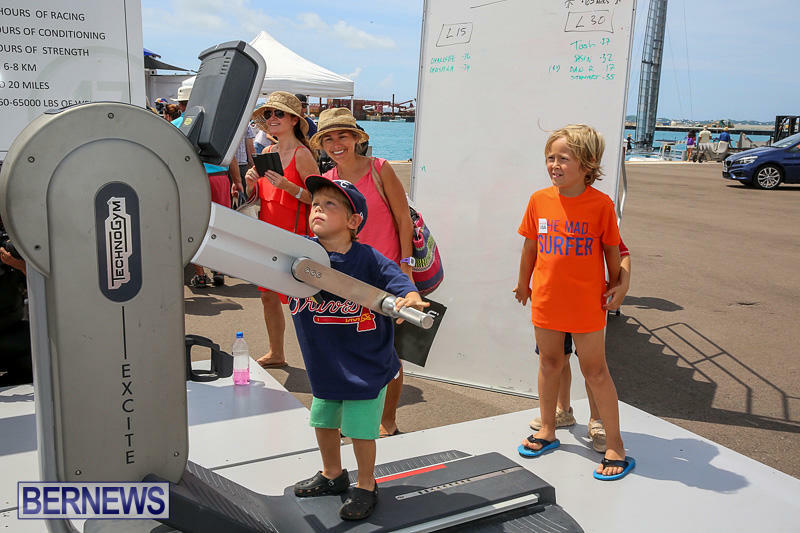 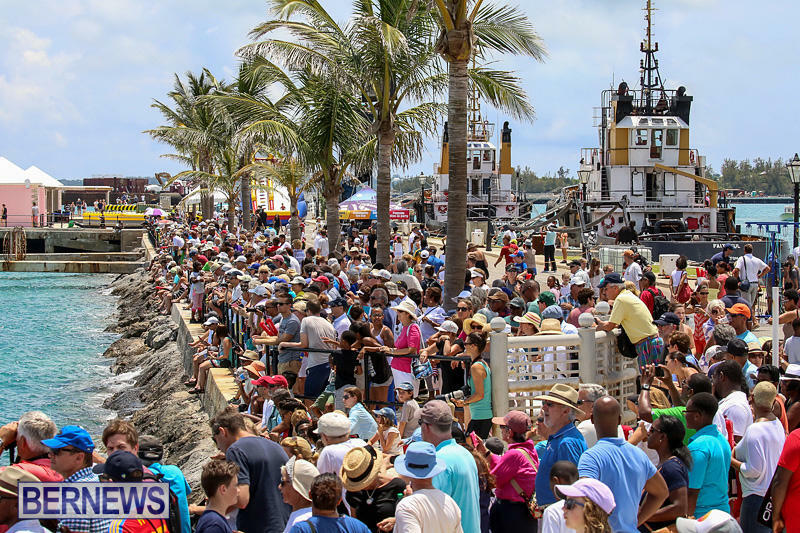 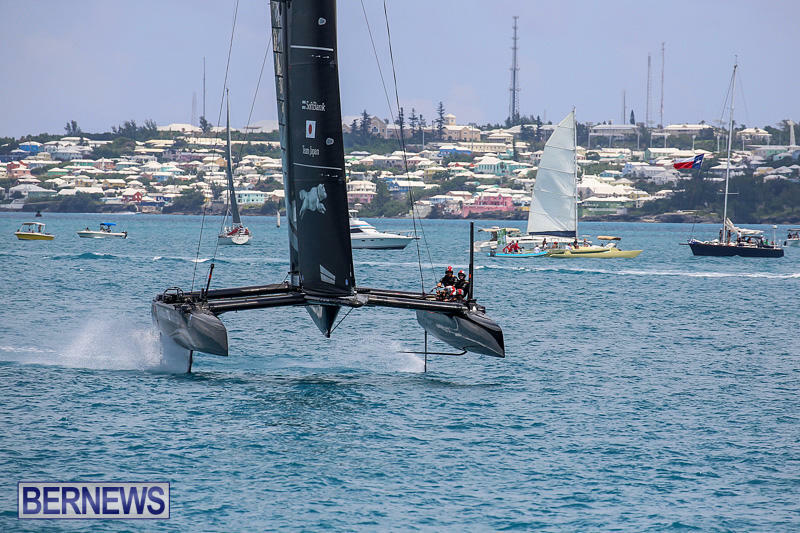 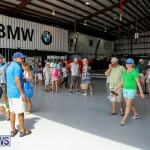 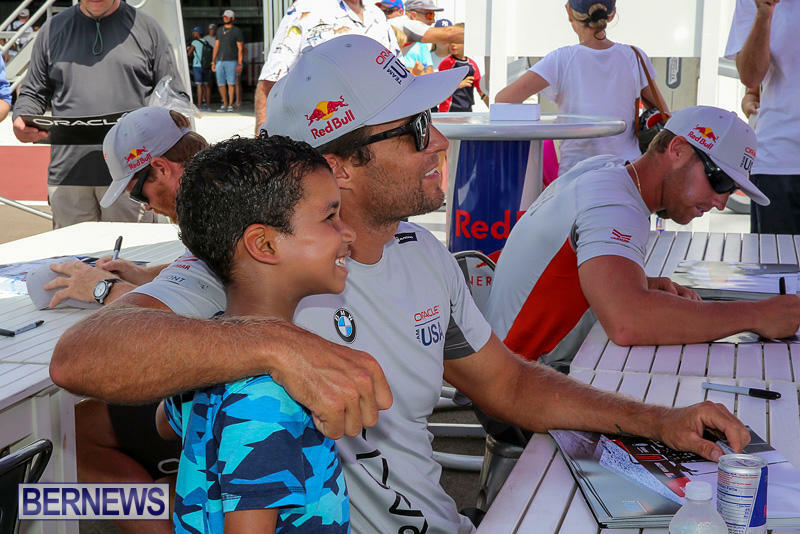 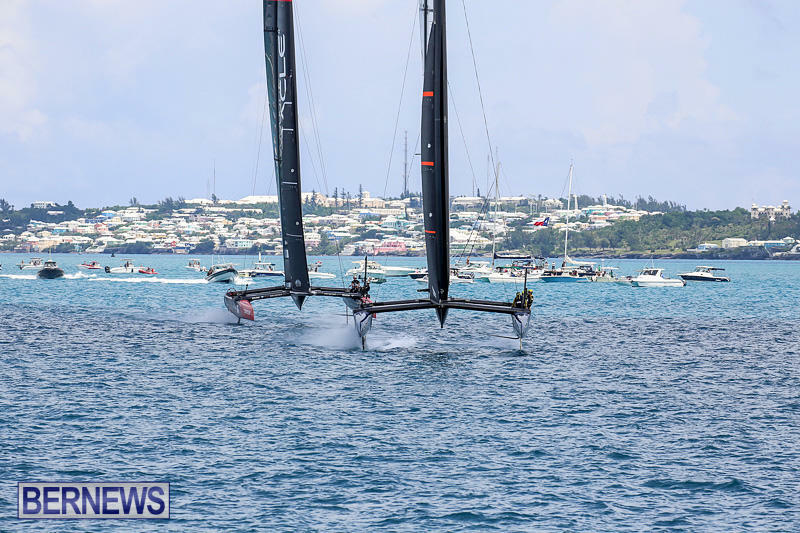 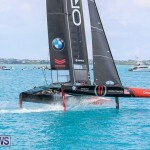 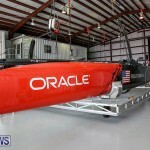 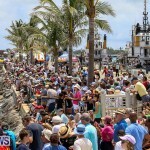 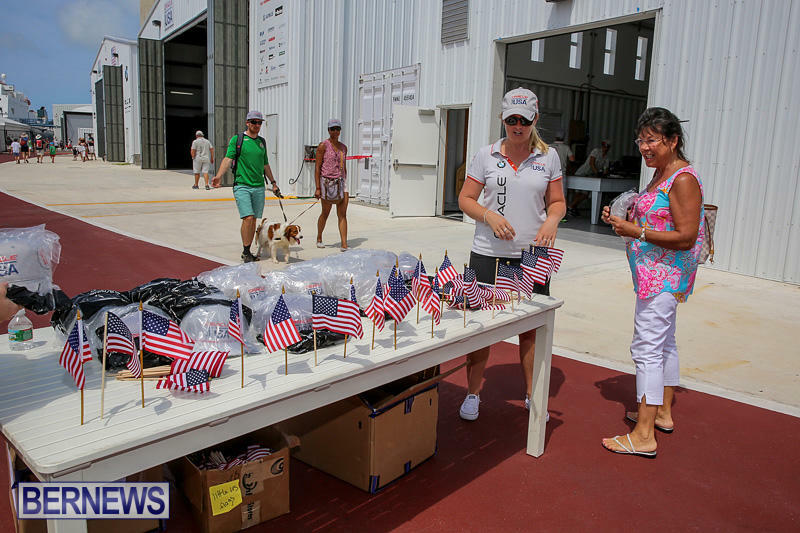 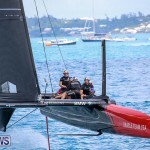 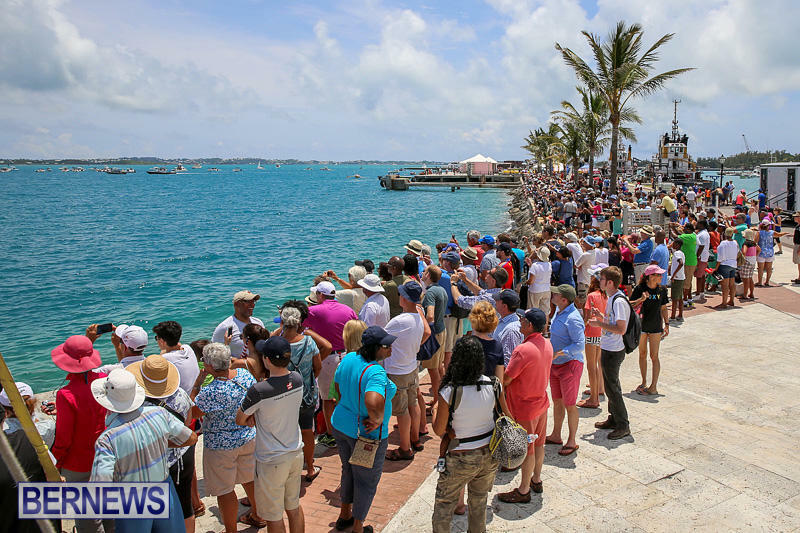 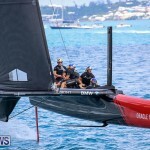 [Updated with video] Bermuda’s three resident America’s Cup teams opened their doors today [June 25] and thousands showed up to get a look inside the teams bases, meet the sailors and watch three drags races between the “super charged” test AC45s, right off the cruise ship berths in Dockyard. 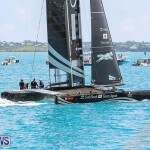 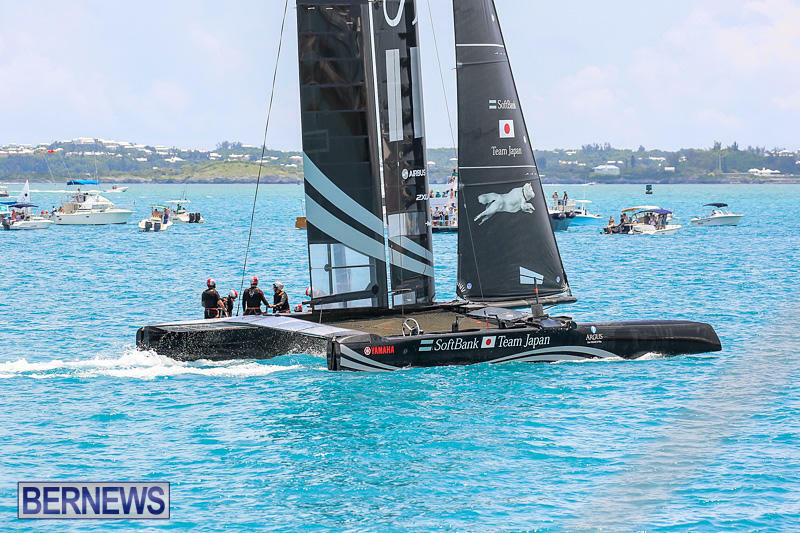 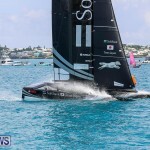 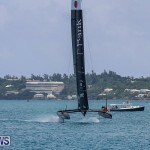 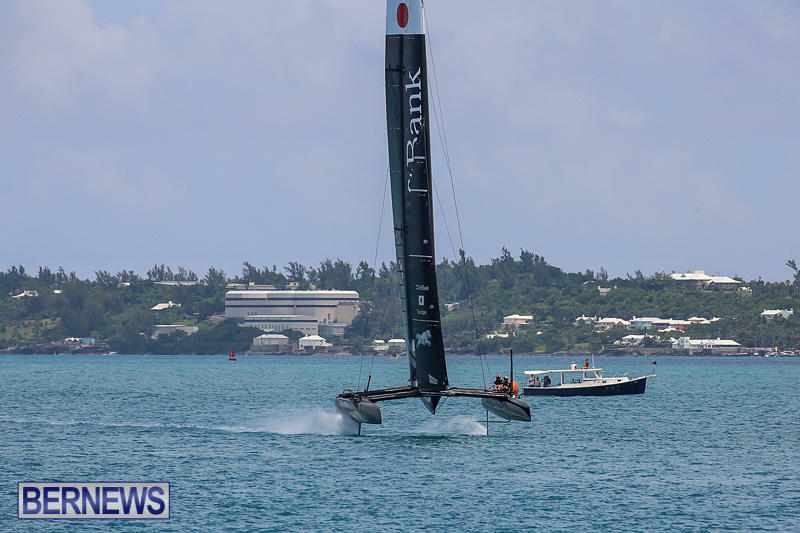 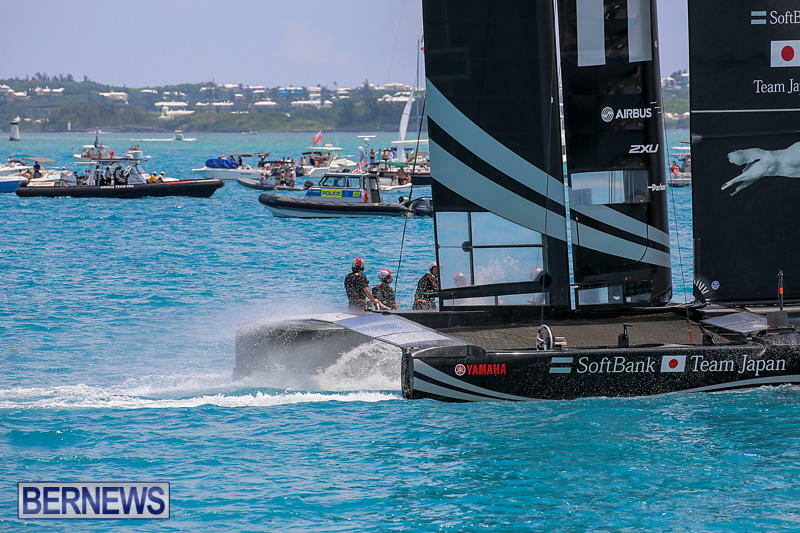 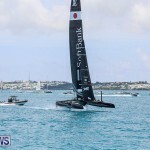 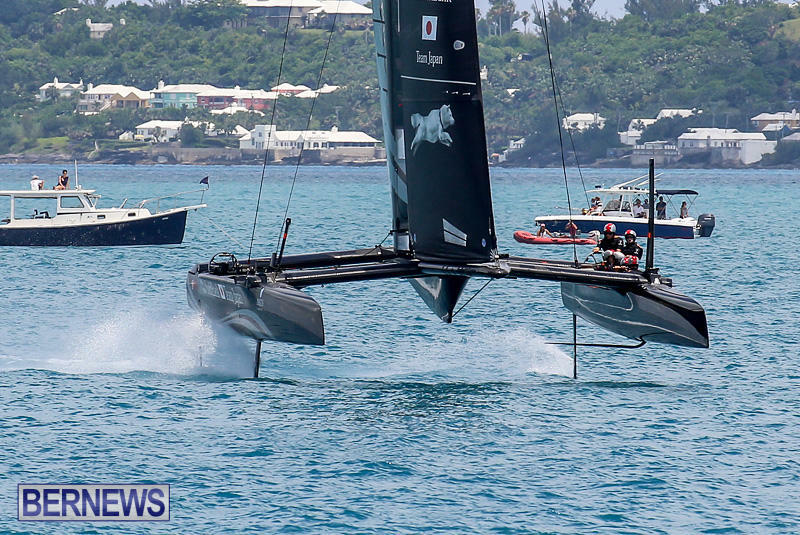 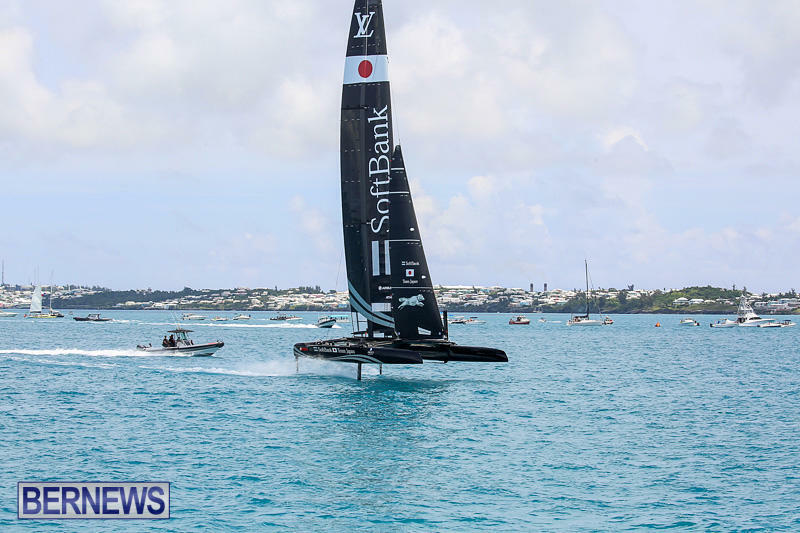 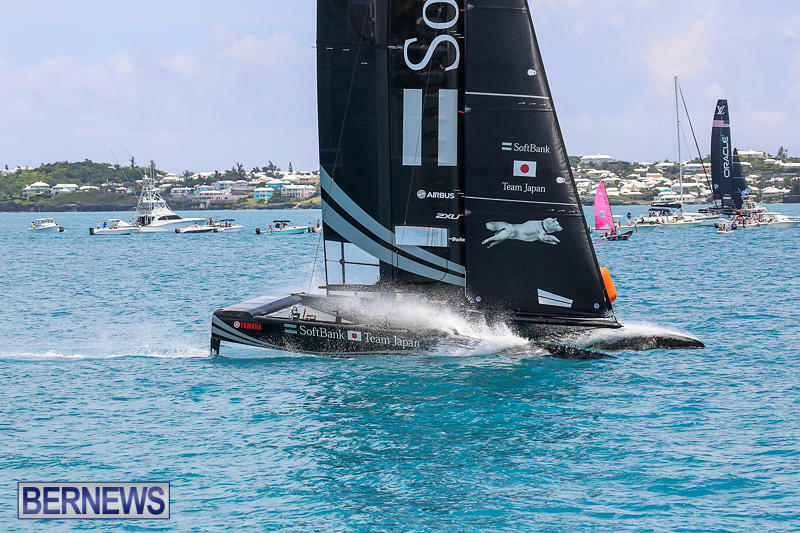 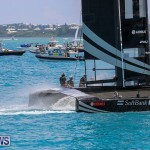 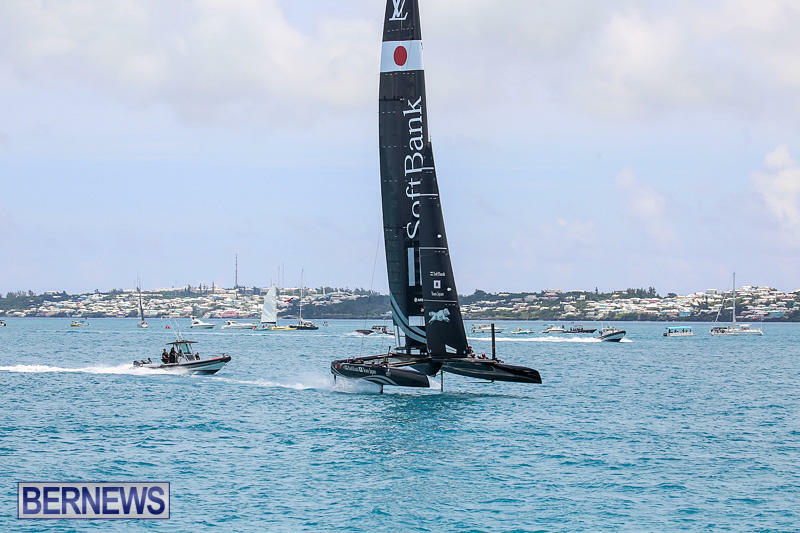 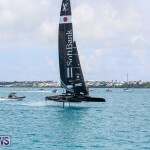 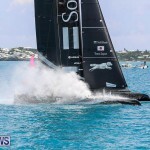 In the end SoftBank Team Japan emerged victorious in the races that saw the boats reach speeds of 30mph in just 10mph of wind. 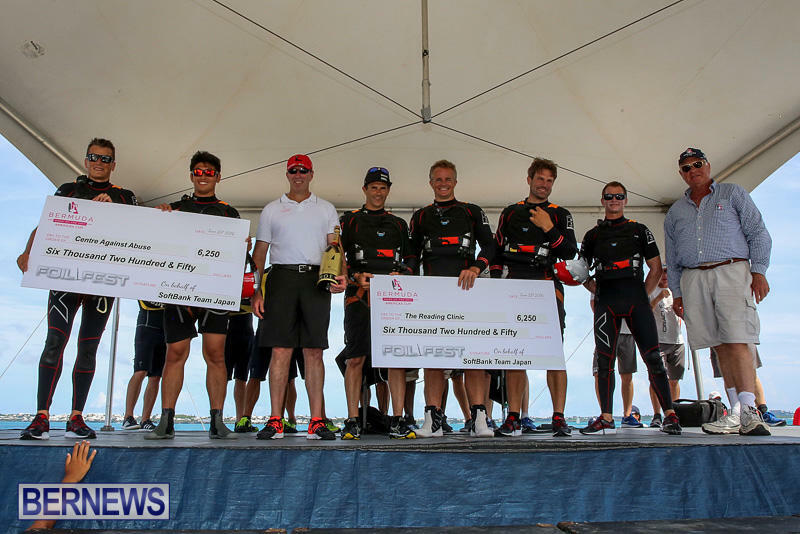 For their victory SoftBank Team were able to donate the $12,500 put up by the teams to the Centre Against Abuse and the Reading Clinic. 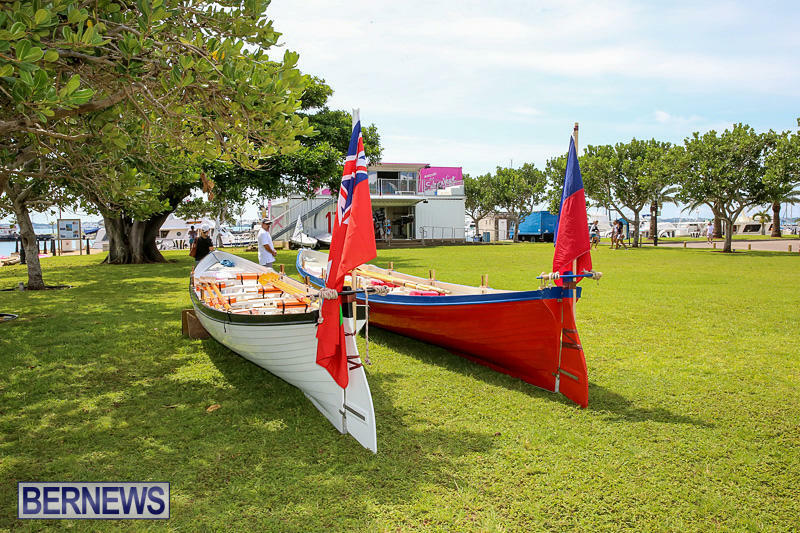 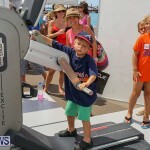 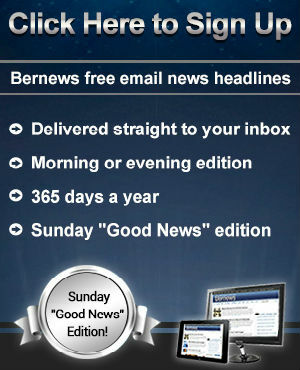 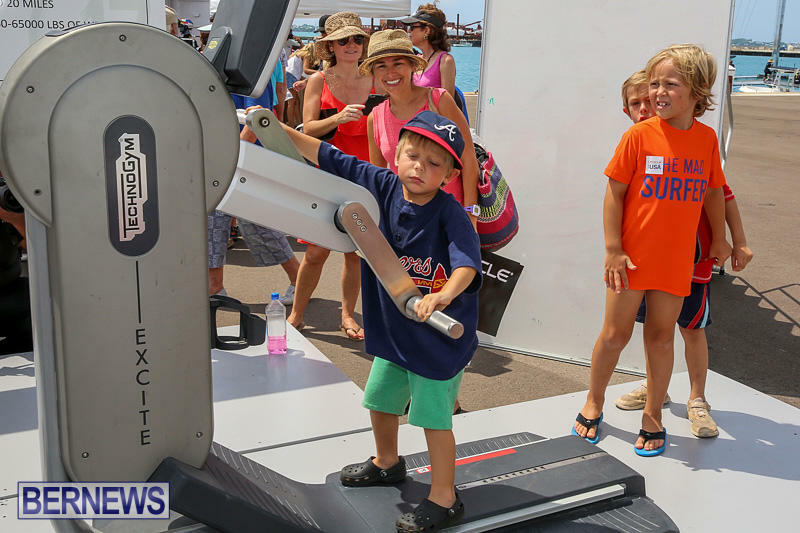 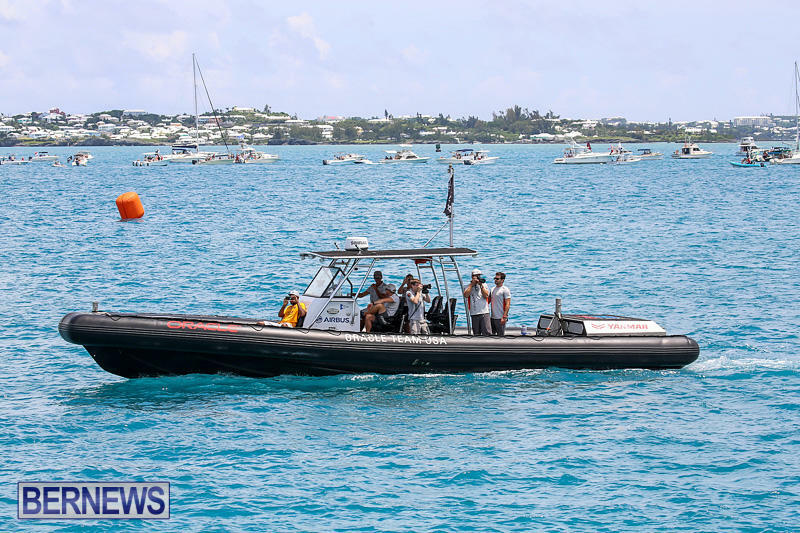 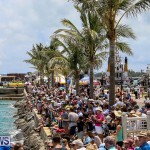 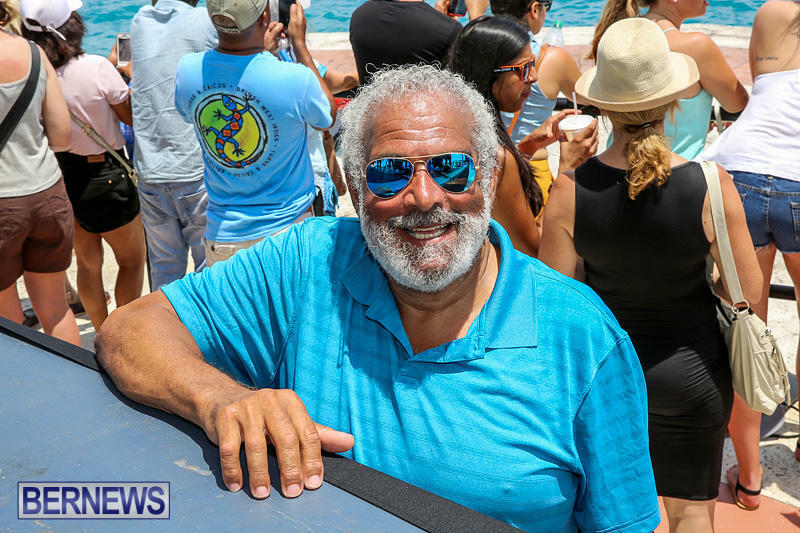 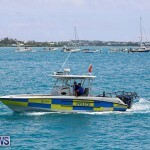 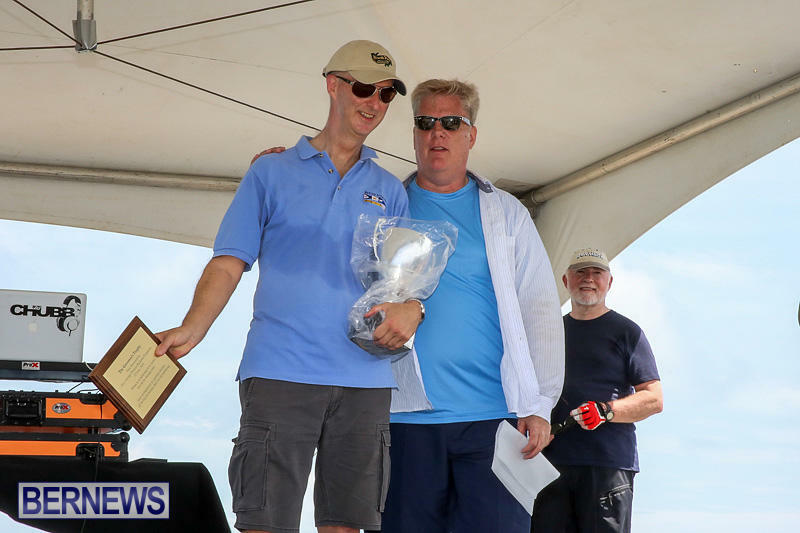 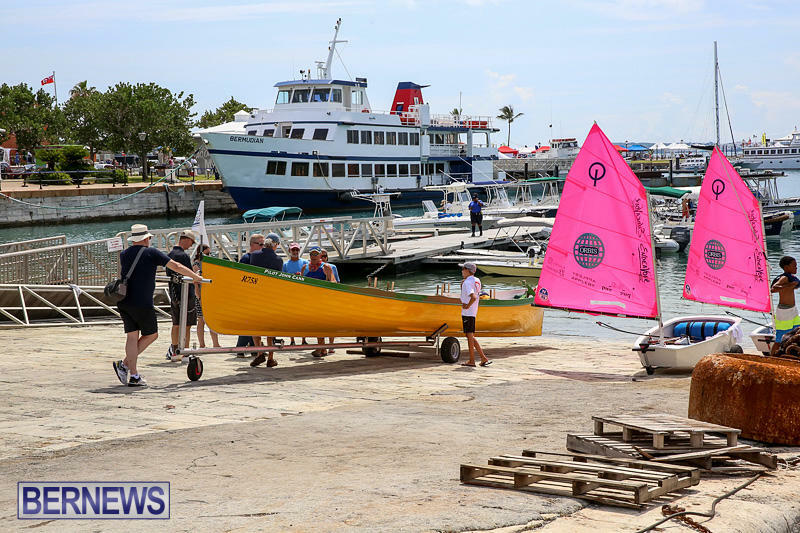 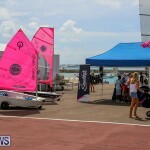 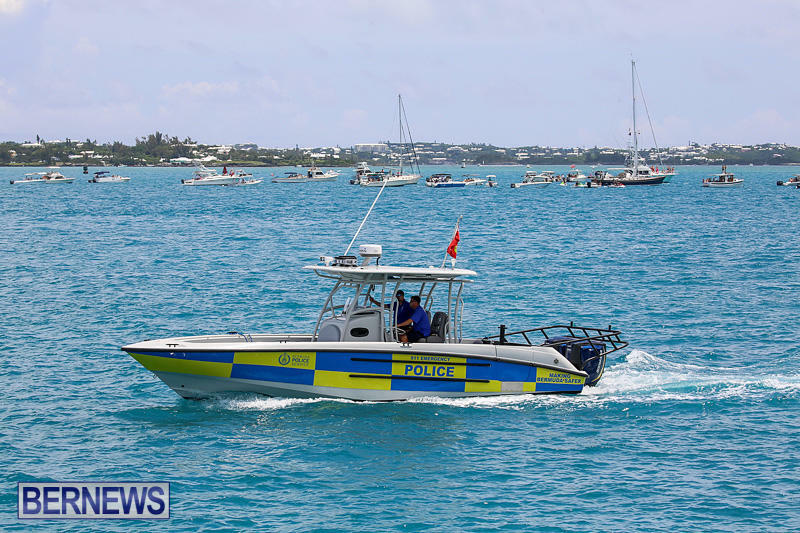 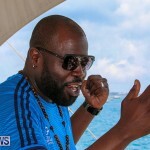 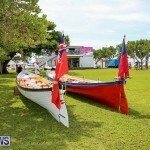 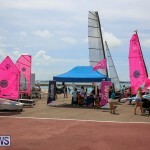 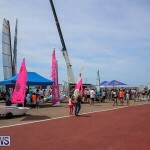 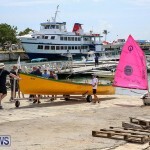 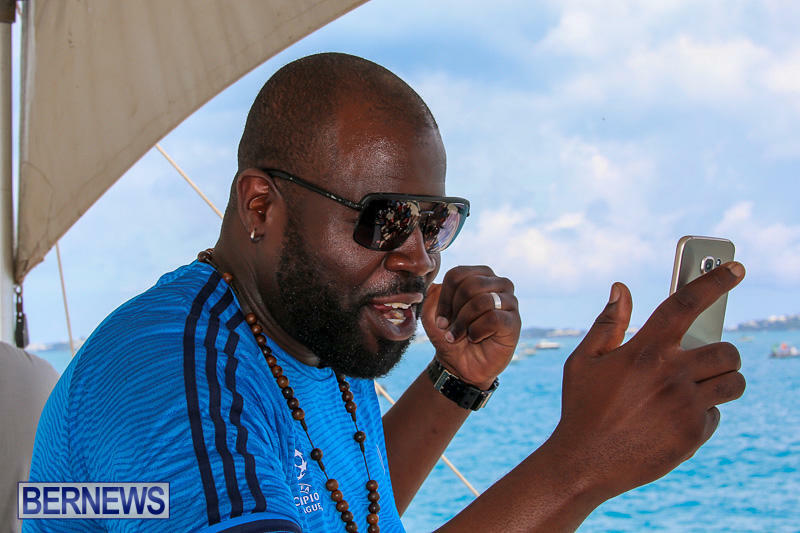 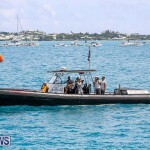 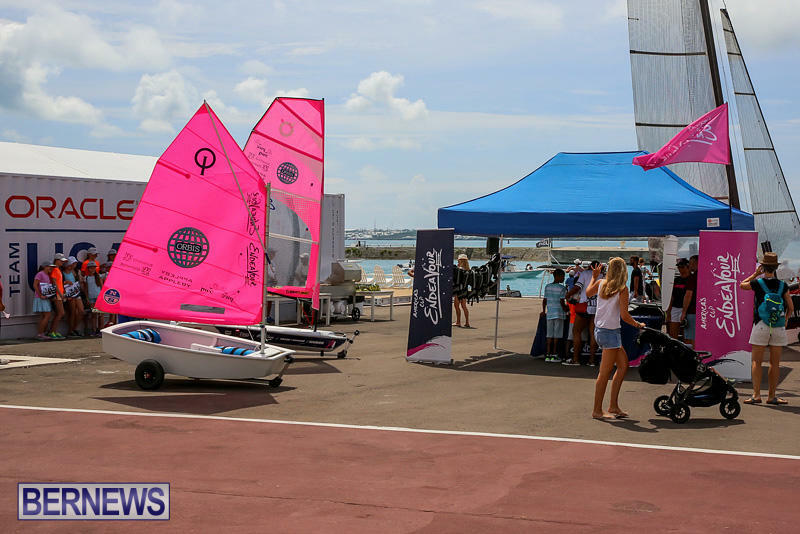 Foil Fest featured many activities taking place across Dockyard and in the adjacent waters. 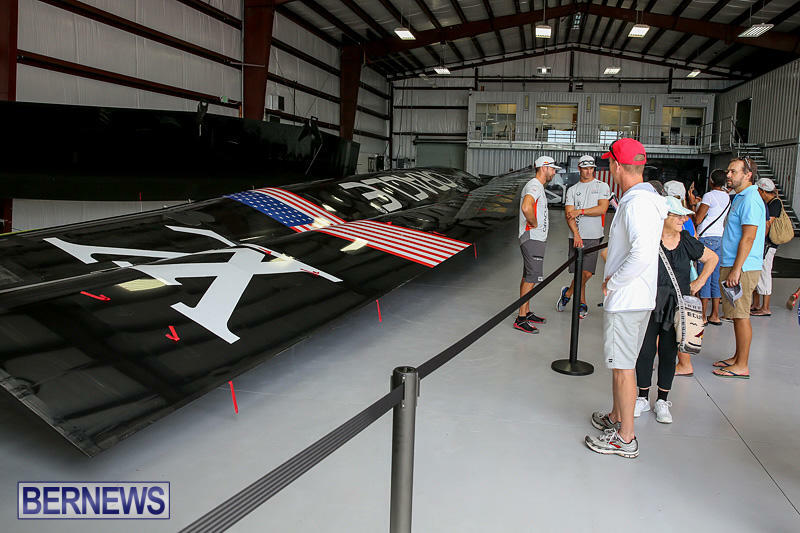 The public had a unique opportunity for an up close look at the incredible hydrofoiling catamarans, as well as being able to tour the Dockyard bases of OTUSA and Team Japan. 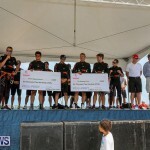 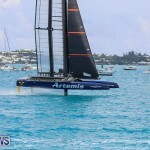 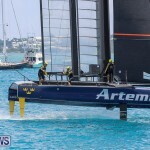 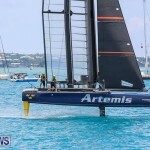 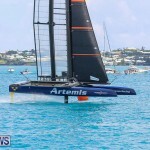 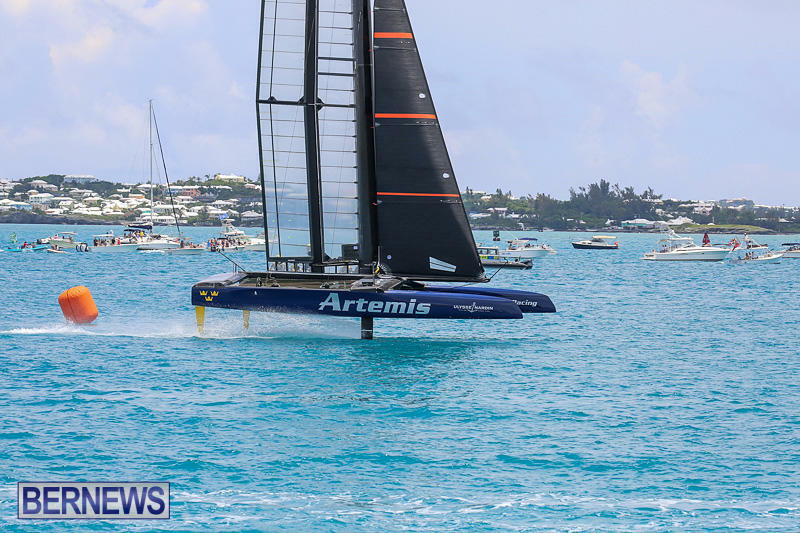 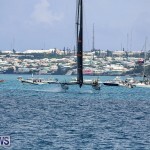 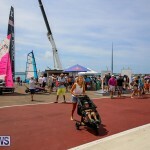 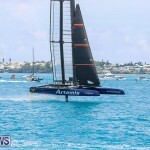 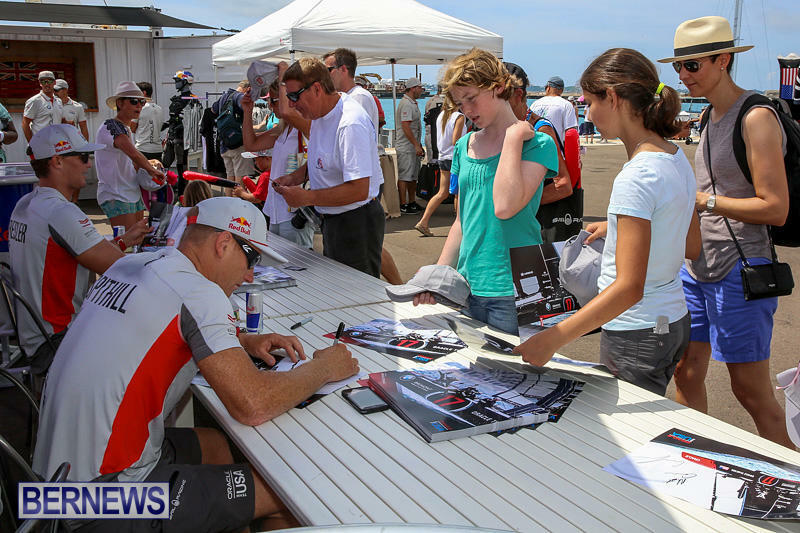 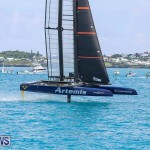 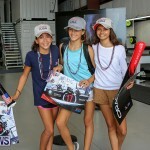 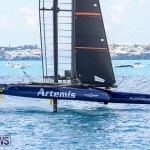 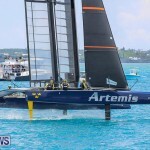 Artemis Racing also had a public presence at the event. 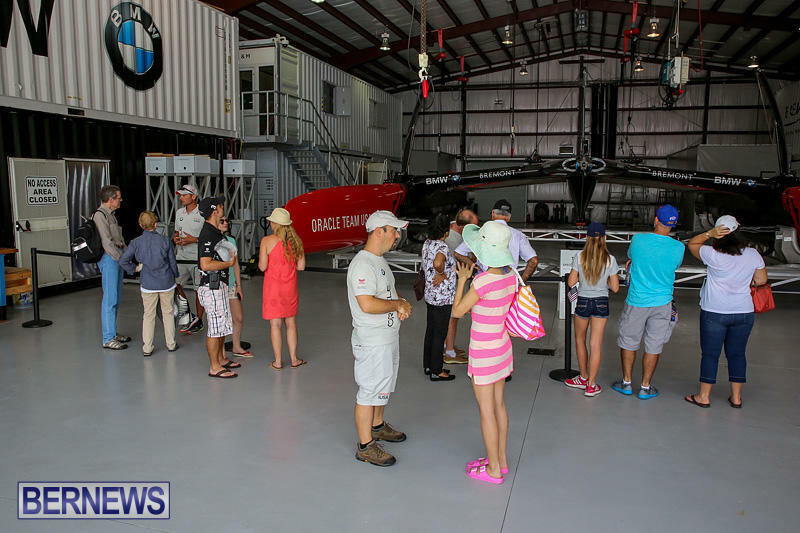 This is the first time the community has been invited to tour the bases, an opportunity typically afforded to sponsors and team guests. 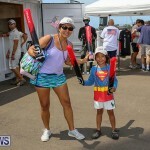 Dolphin Quest held a demonstration which was followed by Coconut Rockets Flyboarding and AC Endeavour sailing sessions. 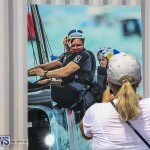 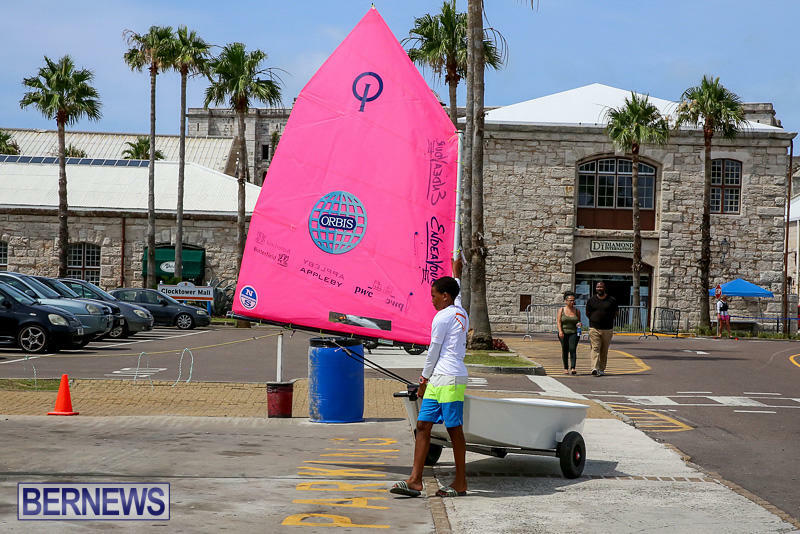 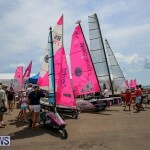 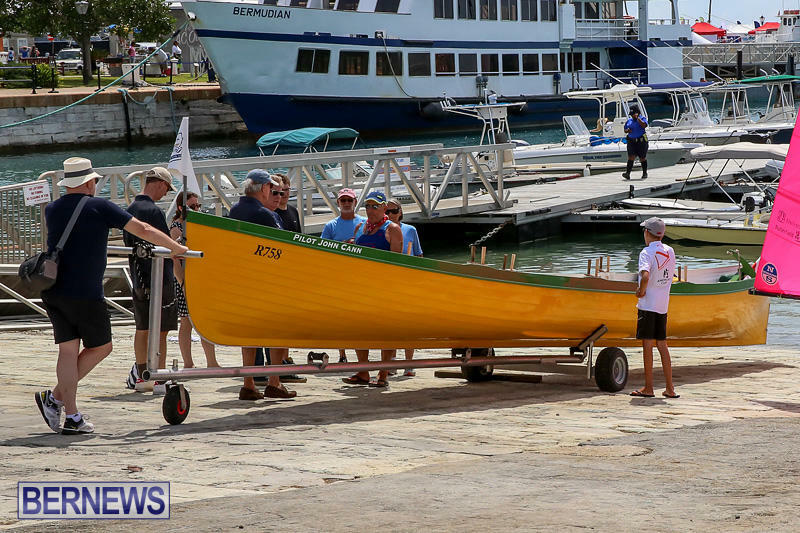 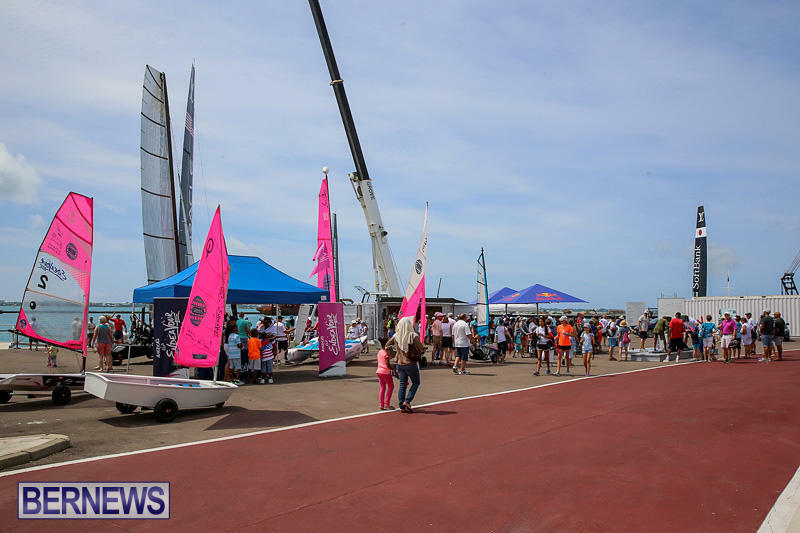 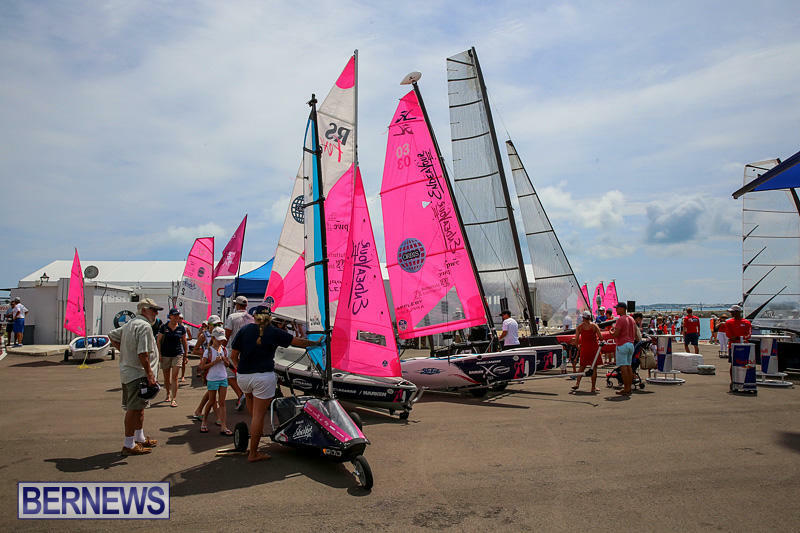 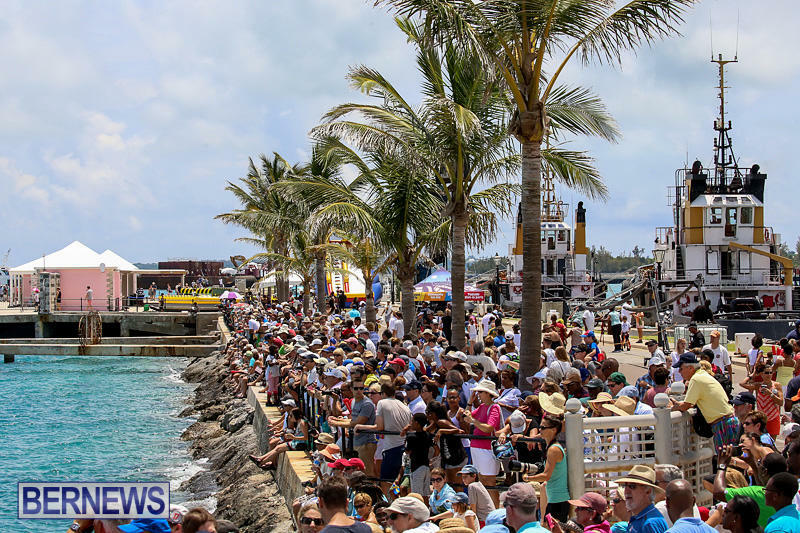 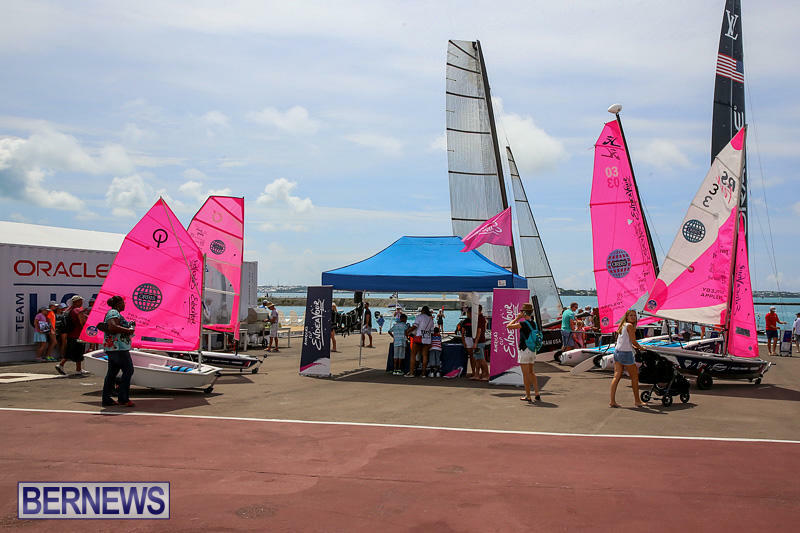 Additionally, the Foil Fest schedule included some of Bermuda’s other wind-driven fleets including Optimists, Comets, Wind Surfers and more. 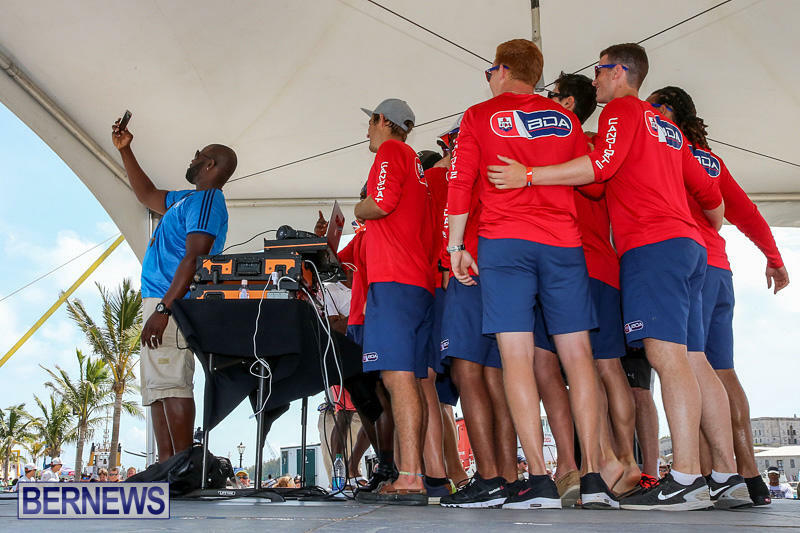 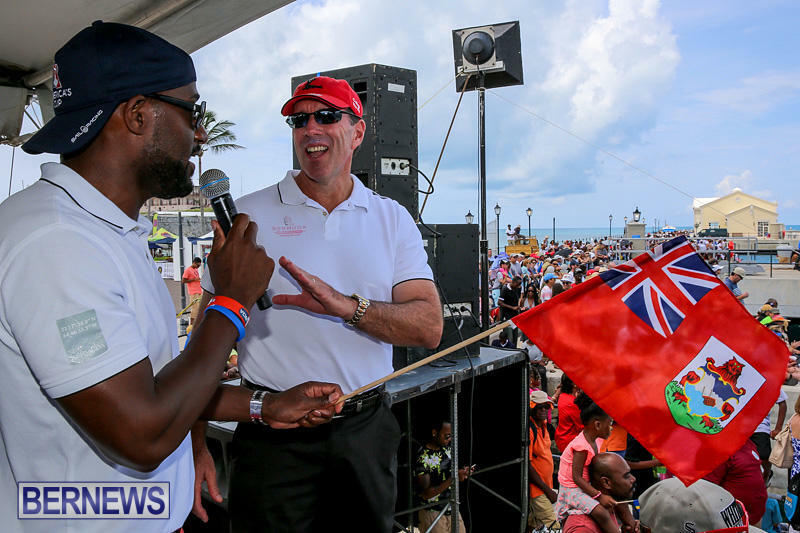 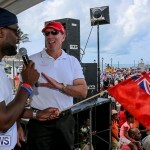 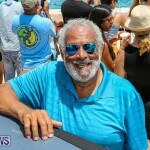 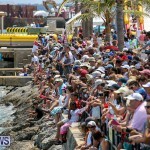 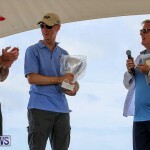 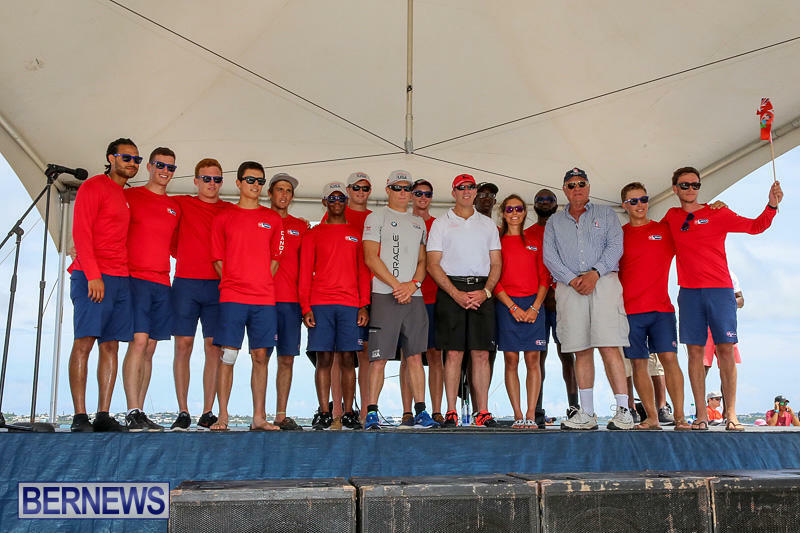 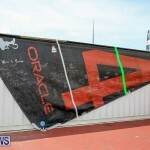 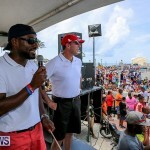 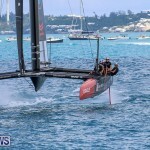 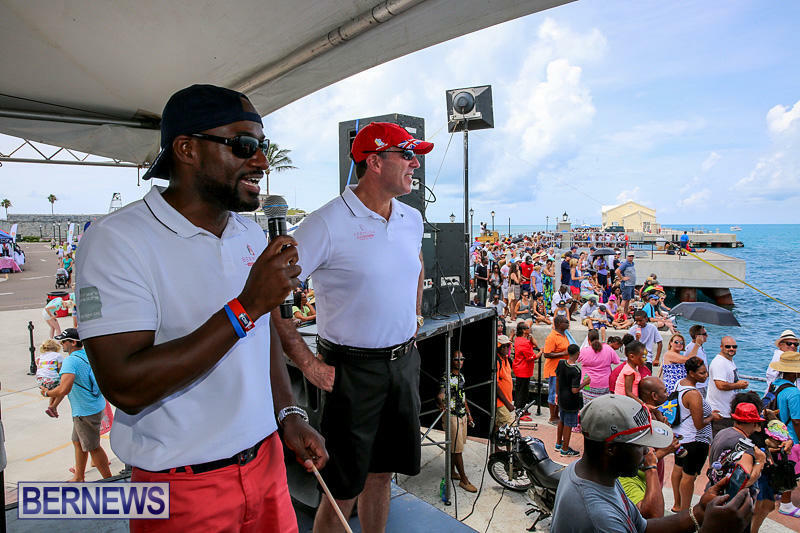 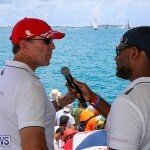 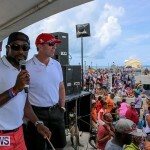 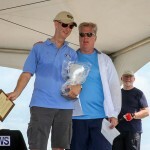 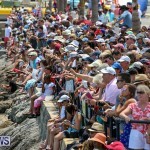 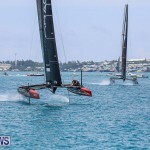 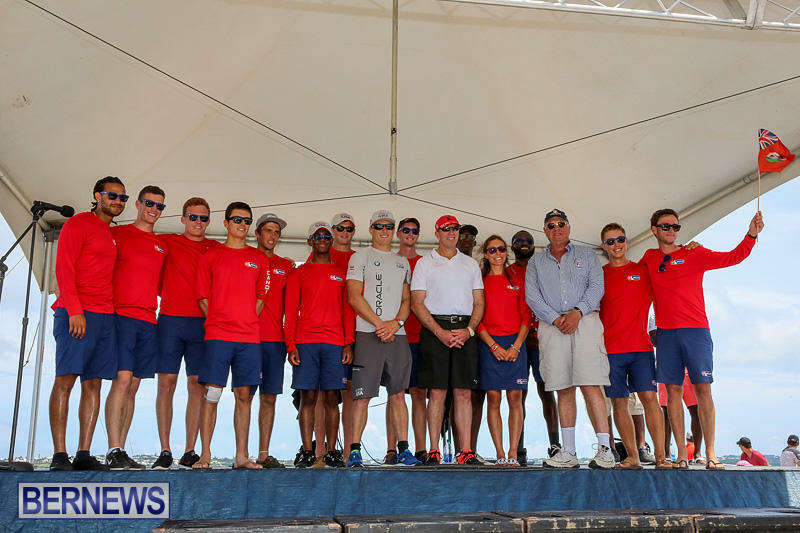 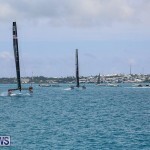 The Dock Out Show was hosted by Glenn Jones with the America’s Cup sailors. 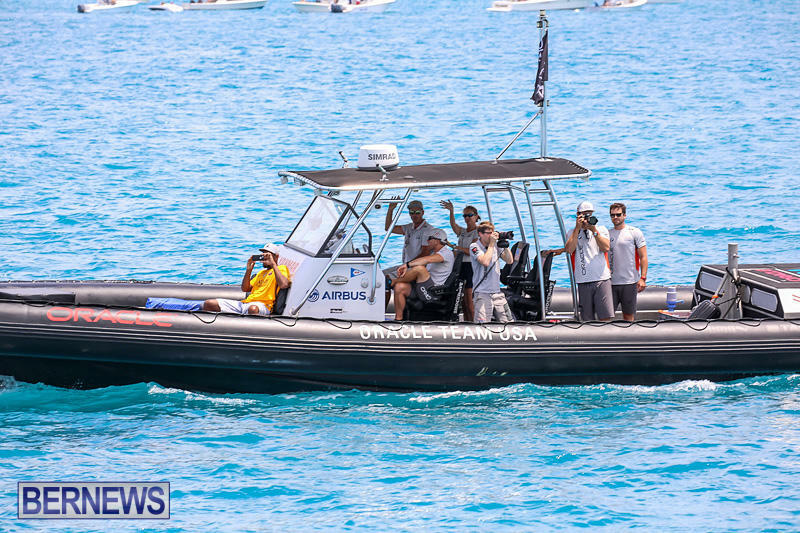 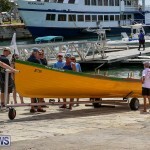 The Pilot Gigs made an appearance on the race course and there was the introduction of Team BDA to the crowd. 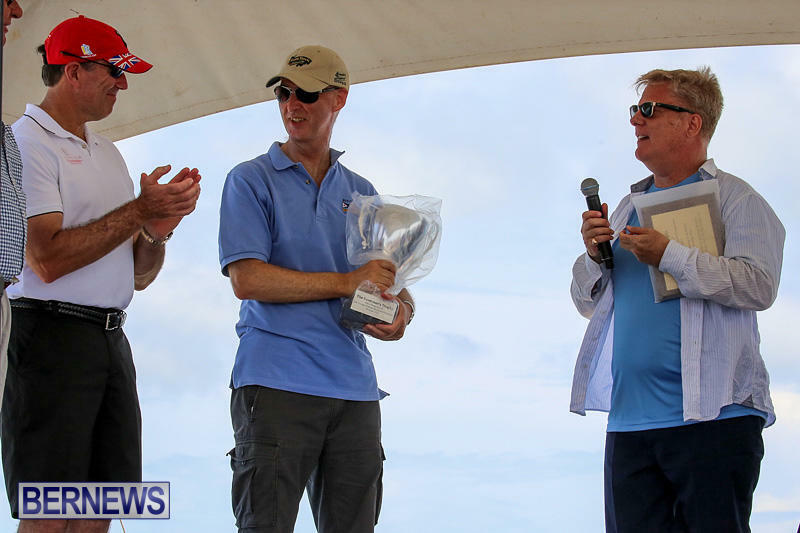 The prize presentation wrapped up the day’s activities. 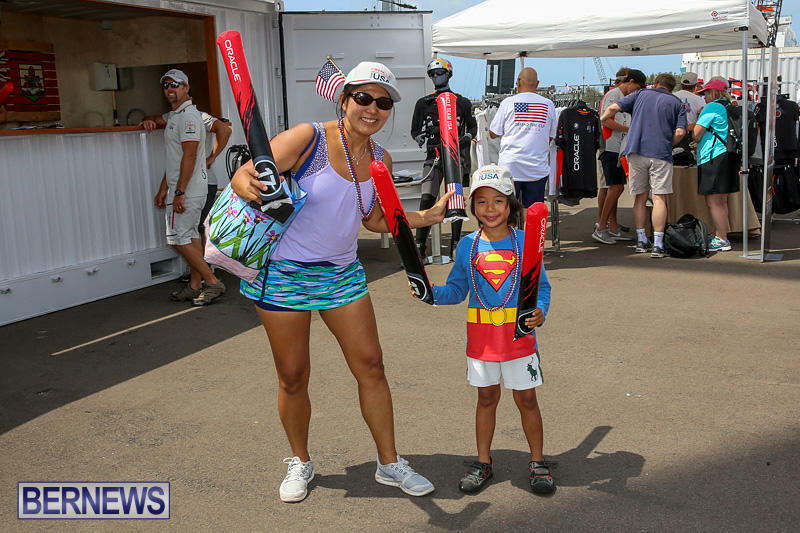 Supporters for Foil Fest included Butterfield & Vallis, Belco, Butterfield Bank, BF&M and Logic. 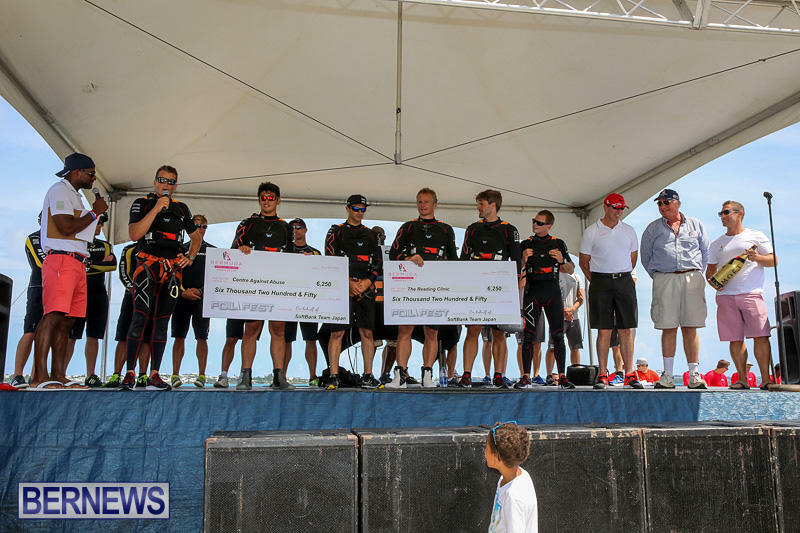 Can you read Onion, they donated $$$$ to OUR charities, what did you do lately to help our community?